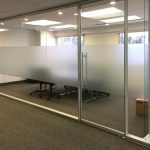 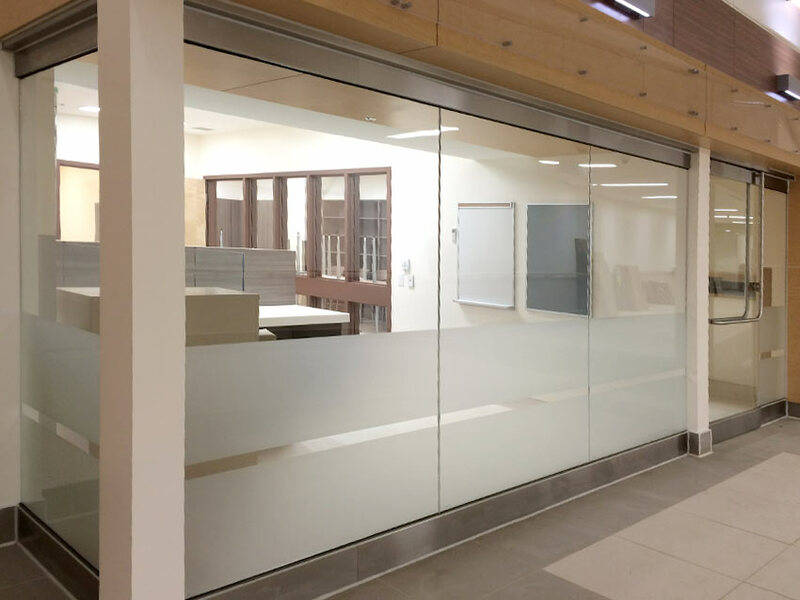 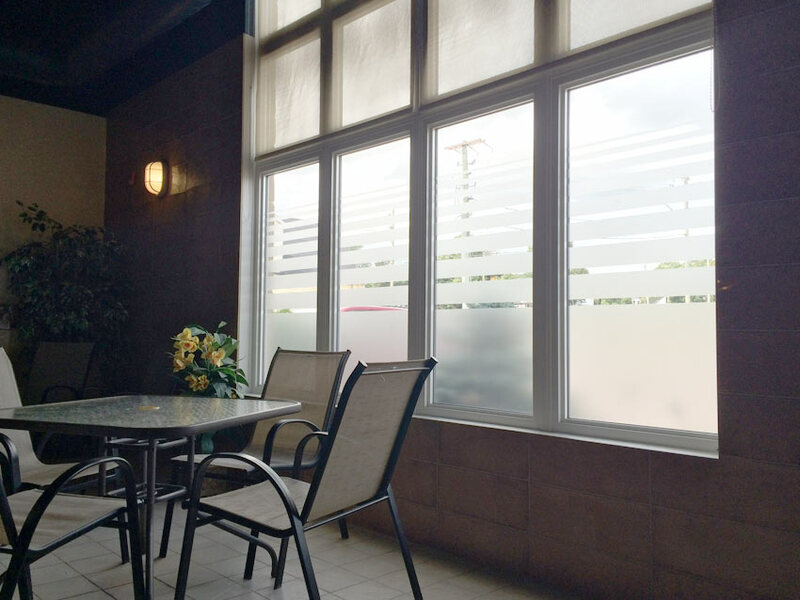 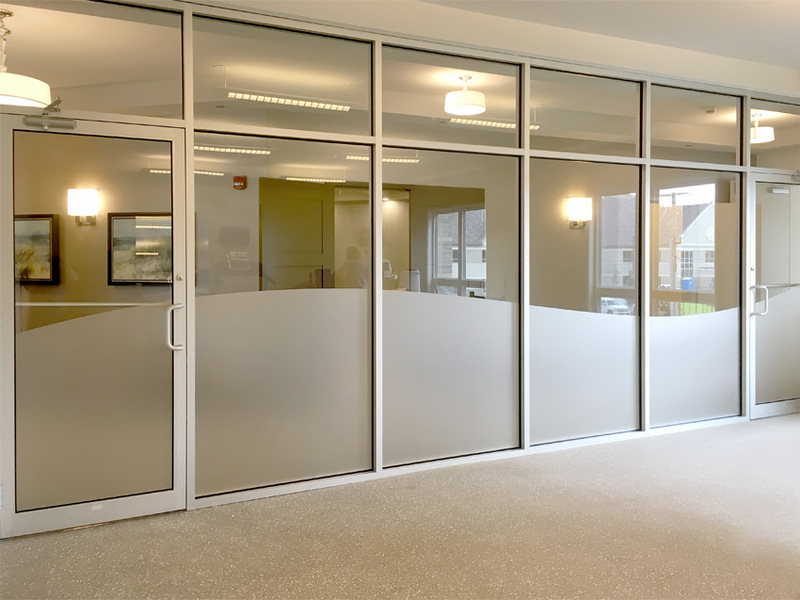 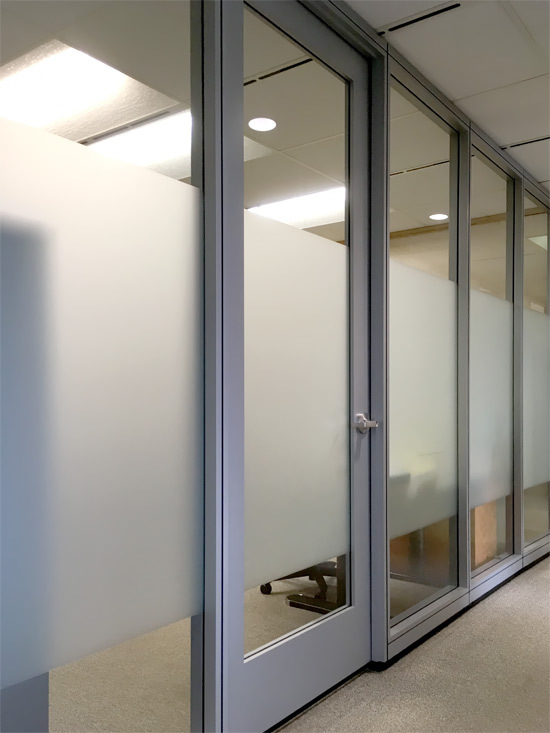 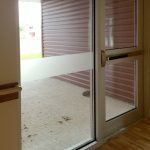 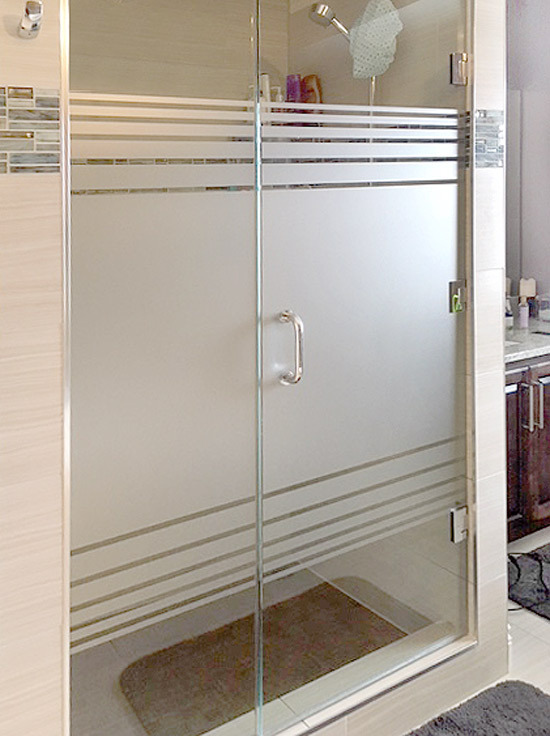 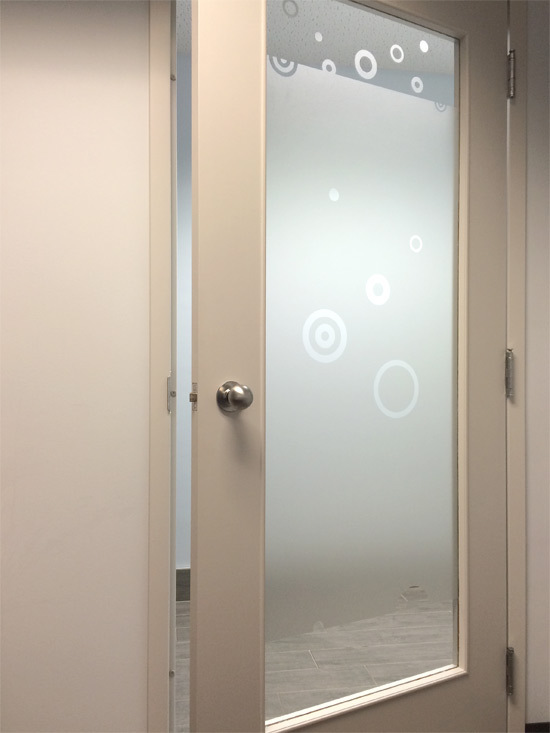 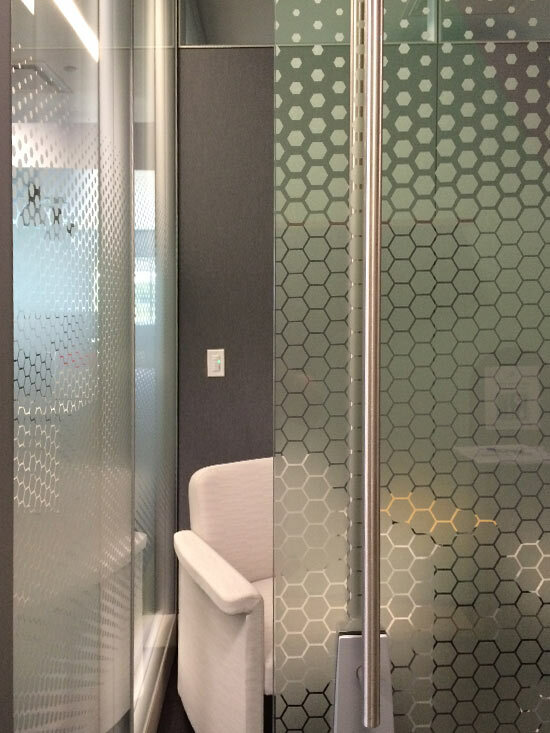 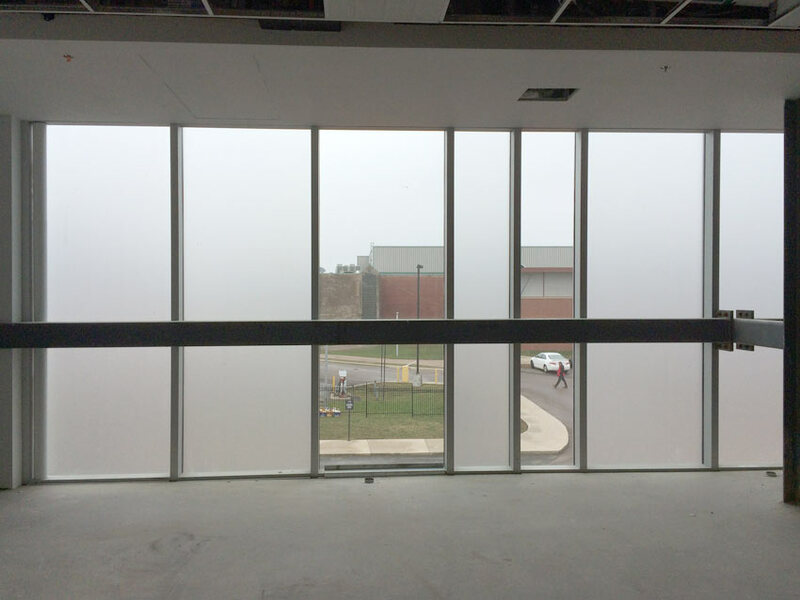 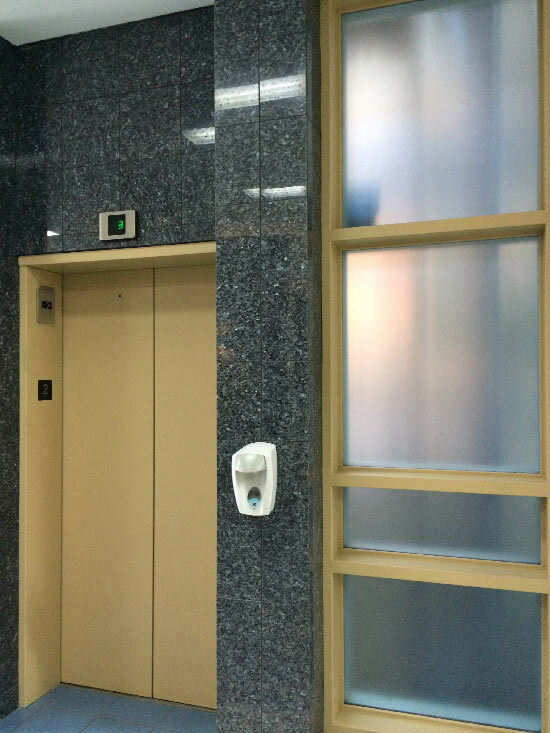 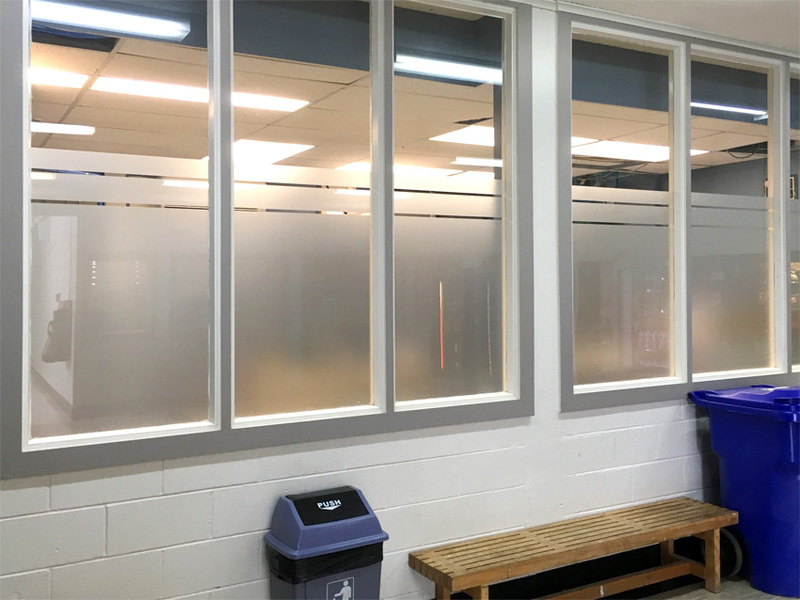 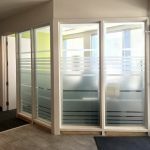 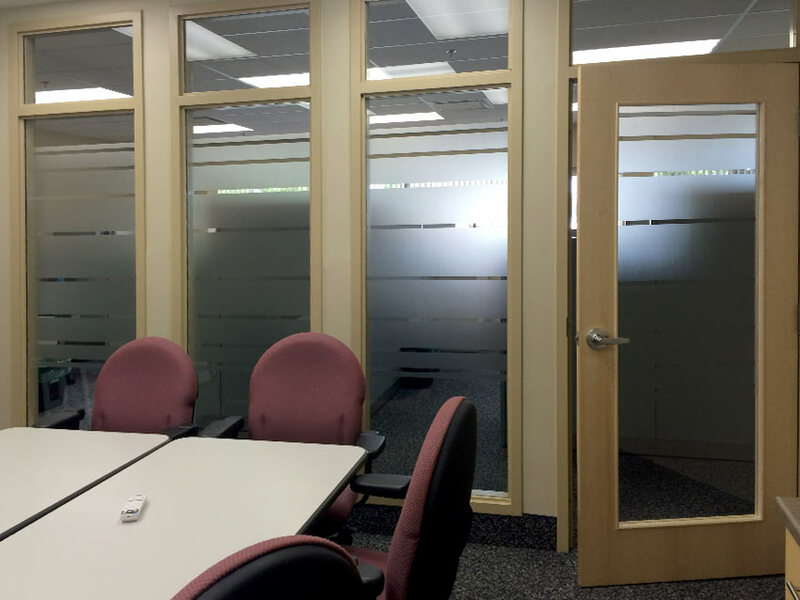 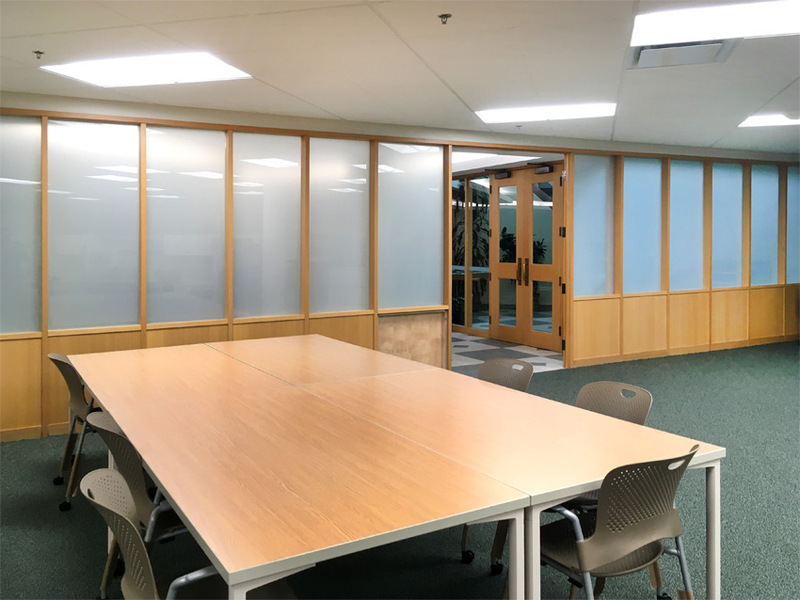 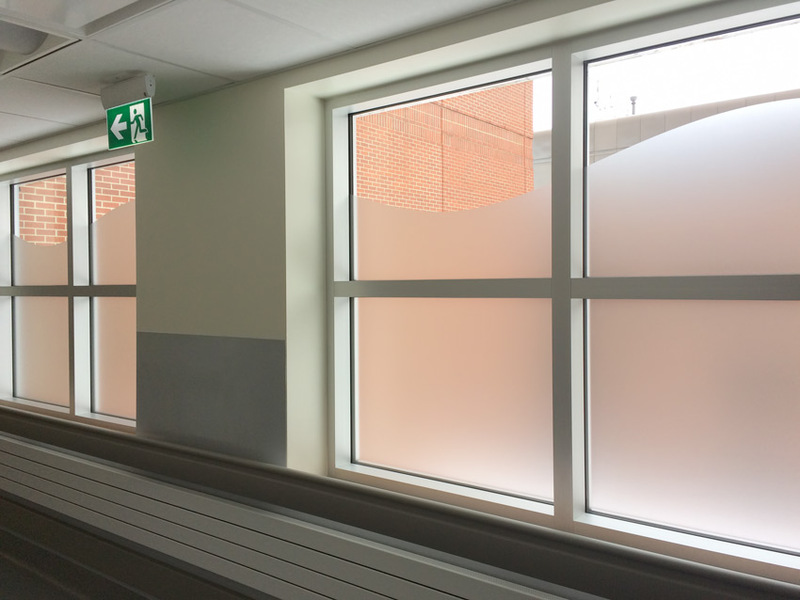 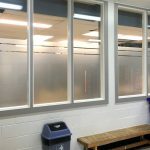 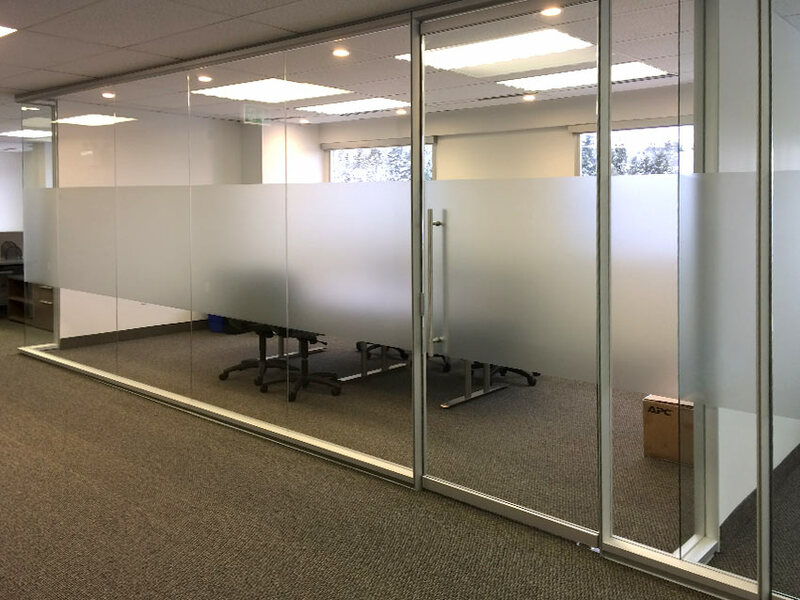 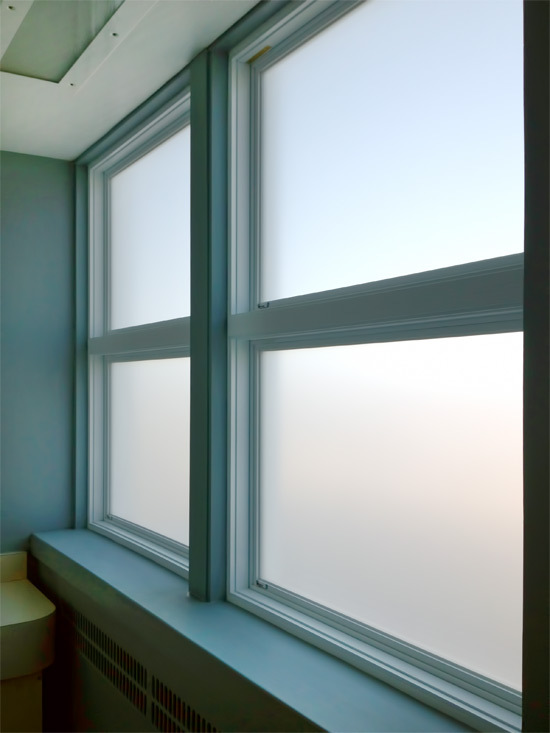 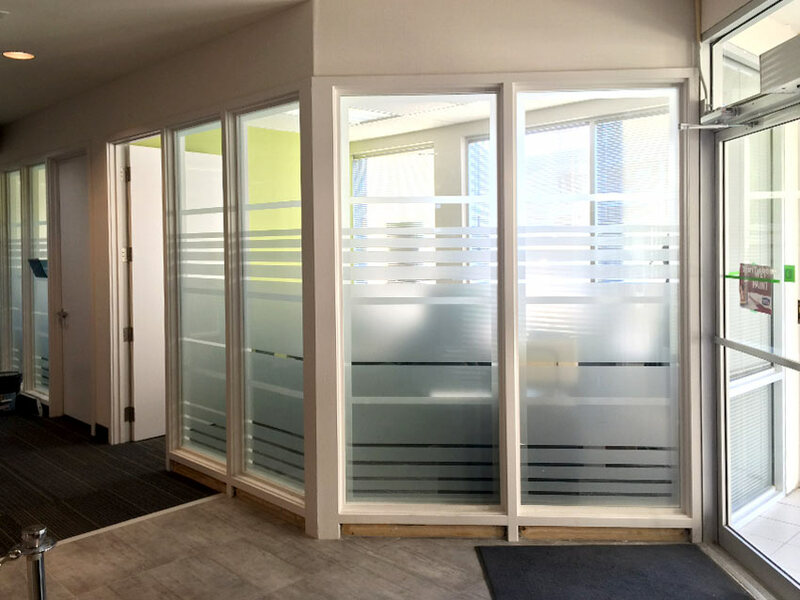 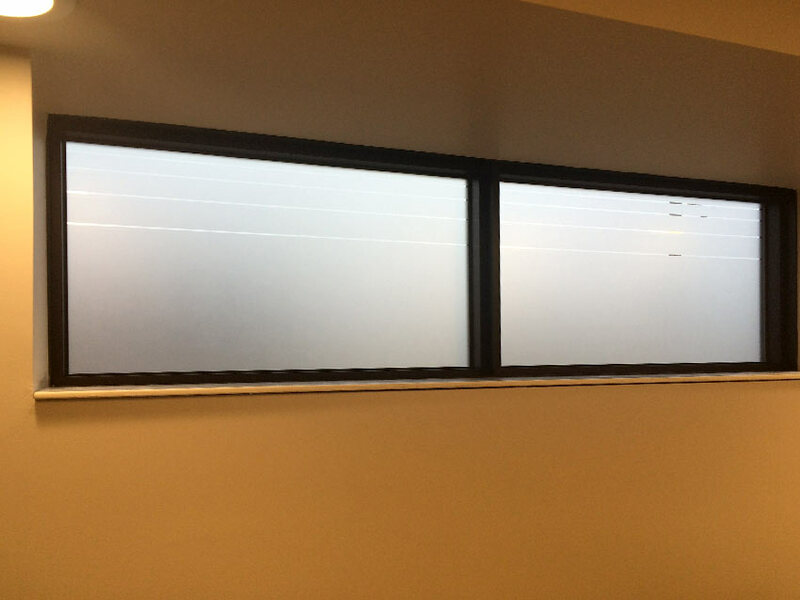 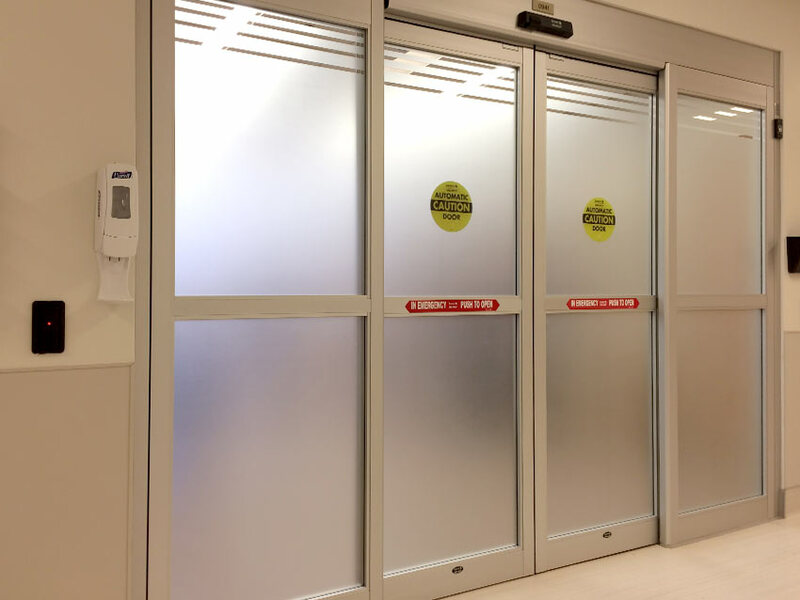 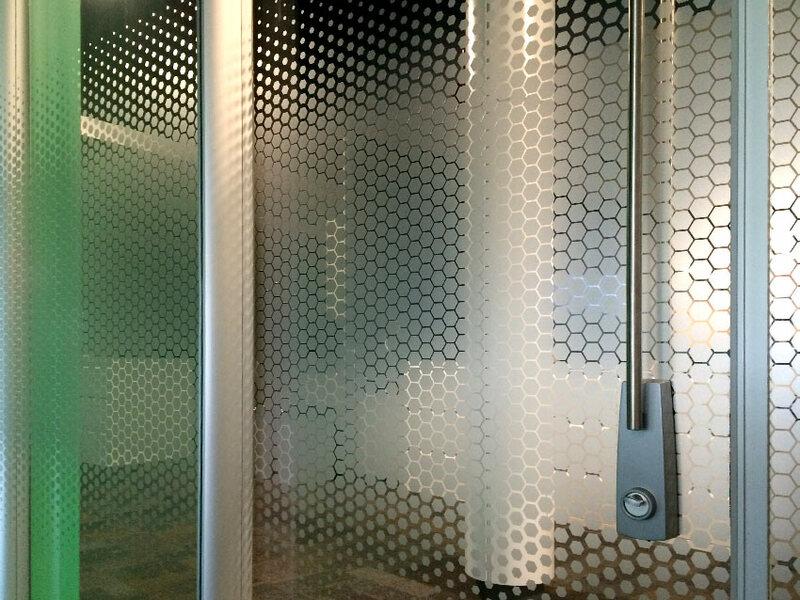 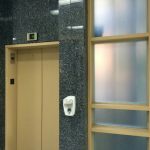 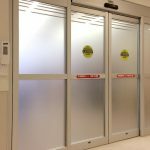 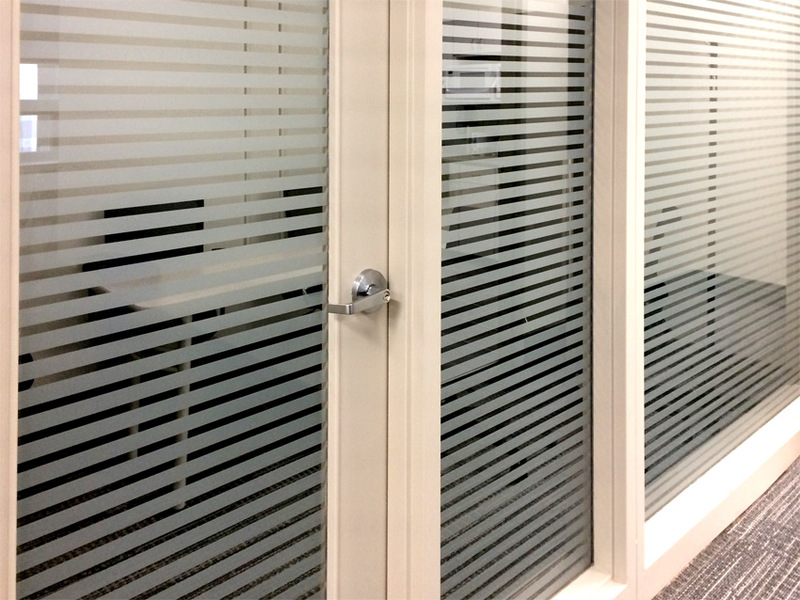 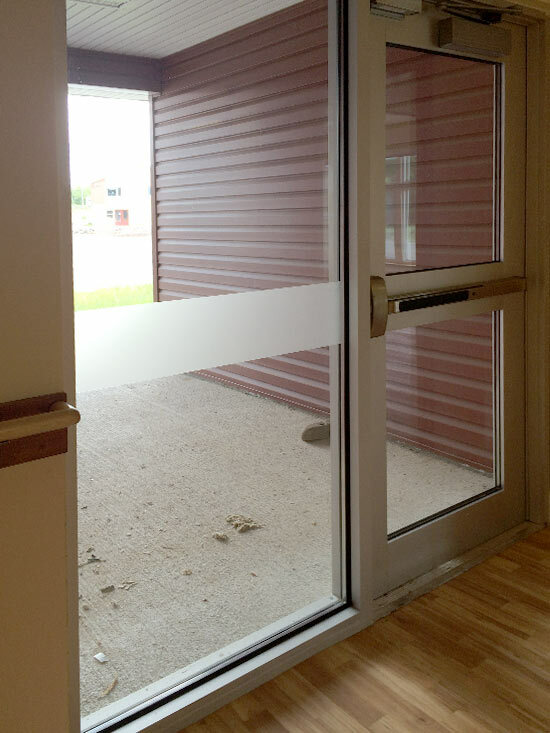 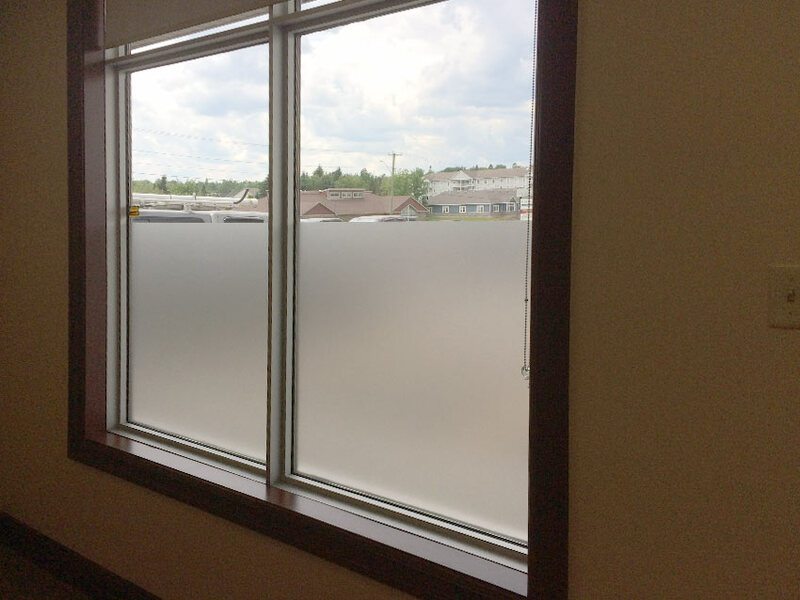 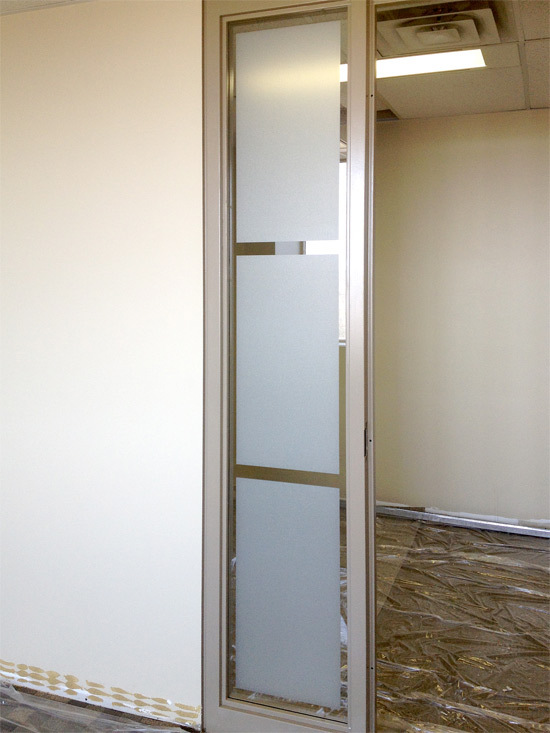 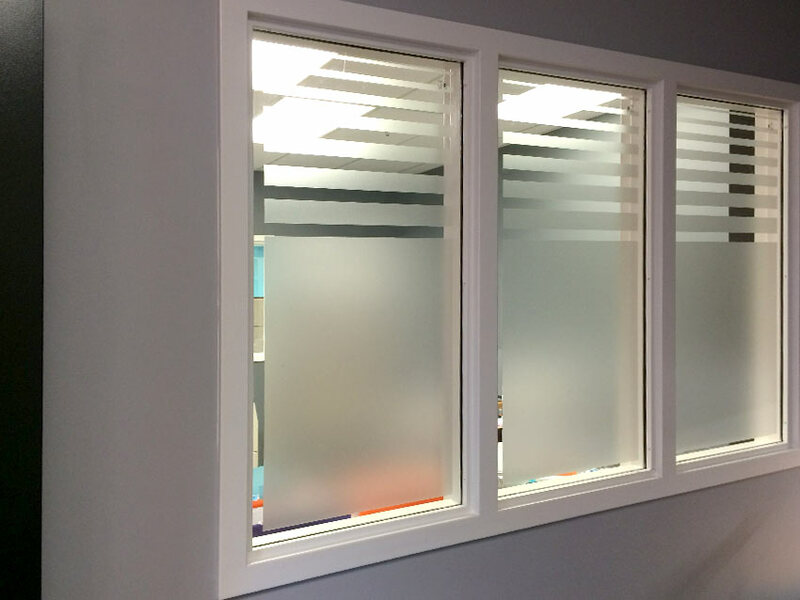 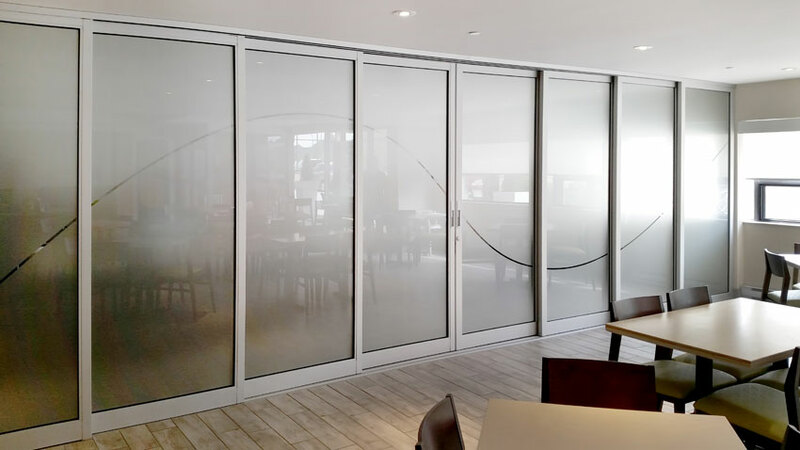 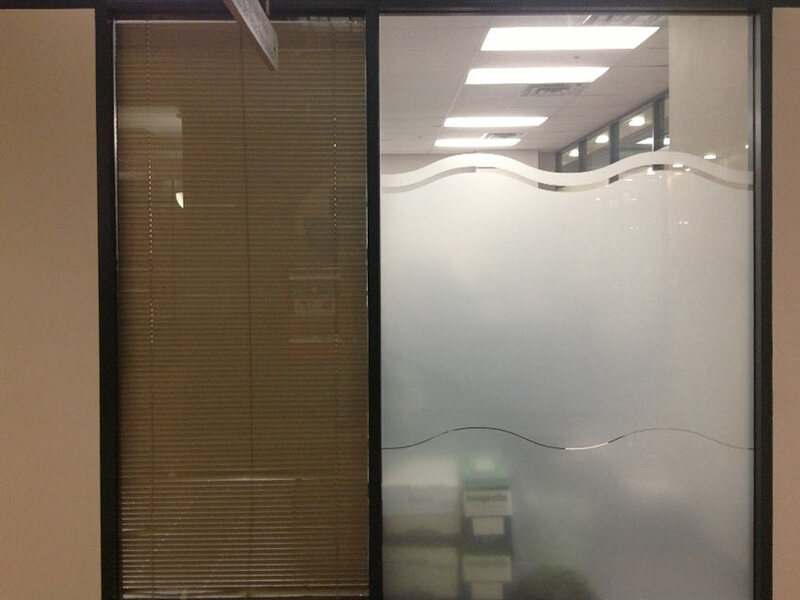 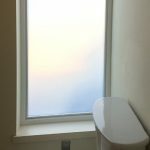 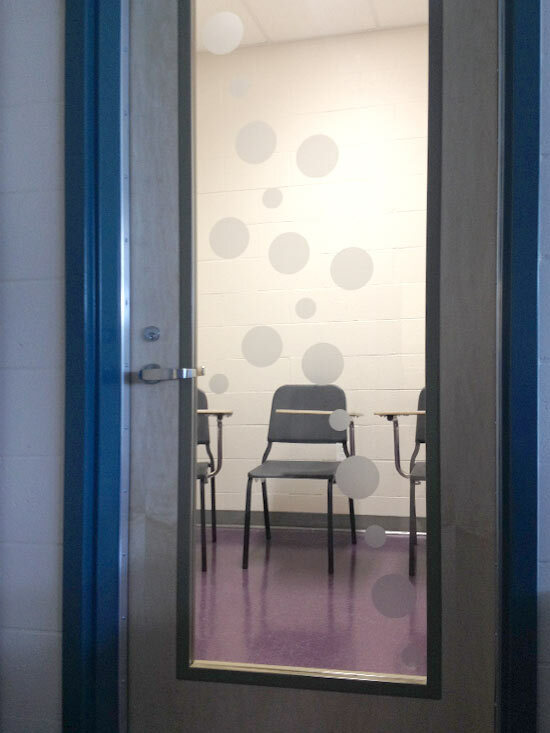 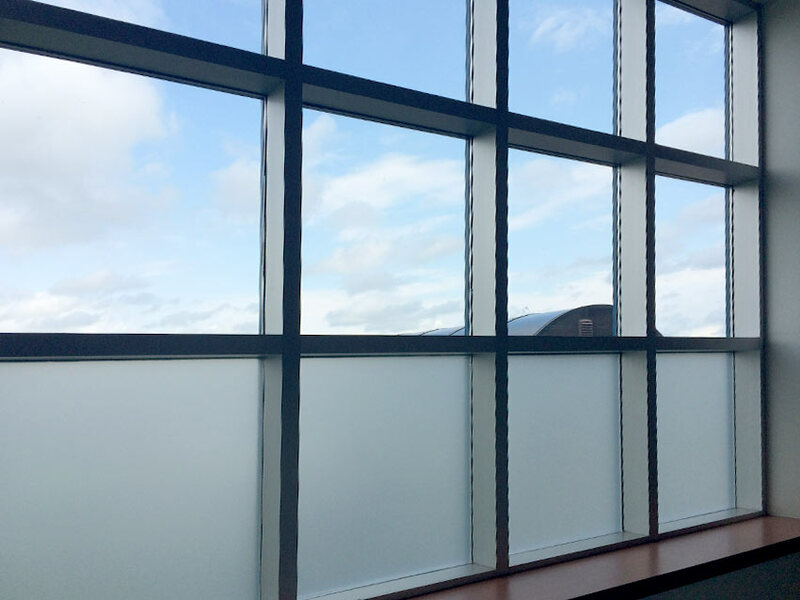 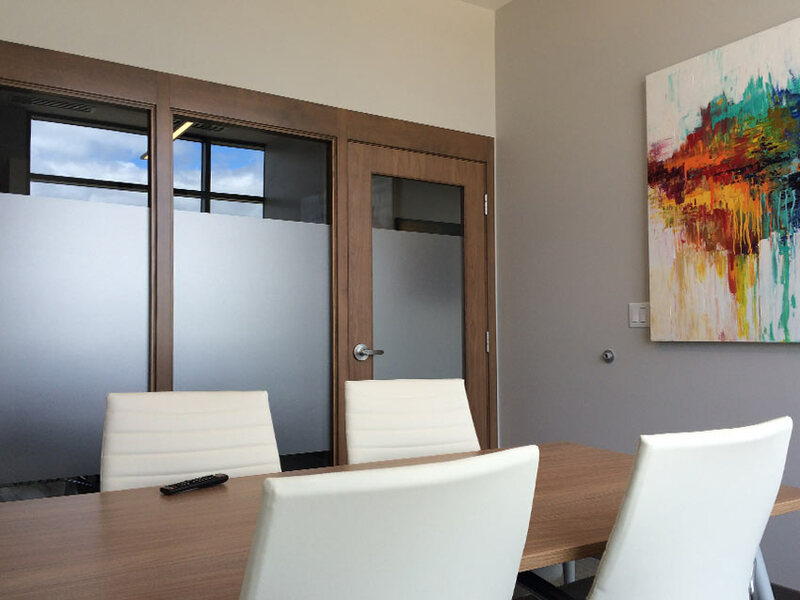 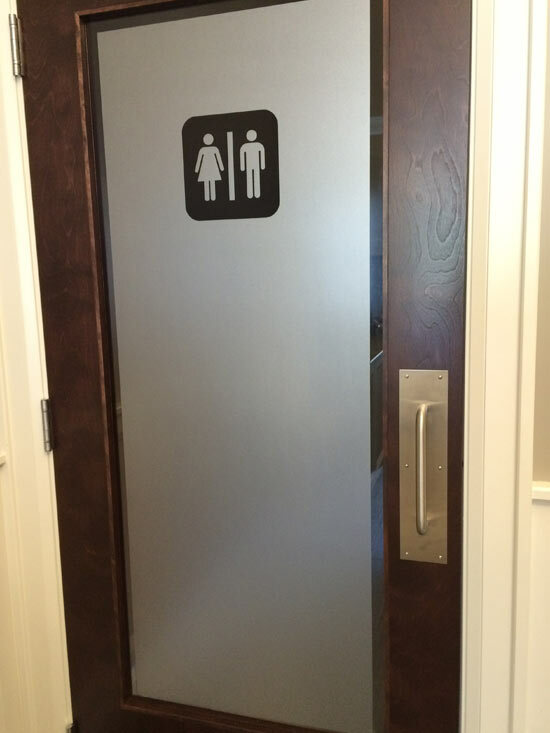 Get as much privacy as you need with frosted films. 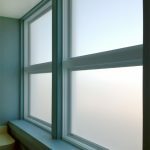 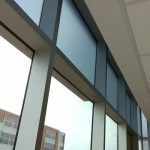 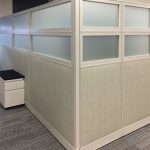 Whether you're looking for full coverage, just the parts that matter the most or looking to add a decorative touch to a room, we have a wide variety of options available for you. 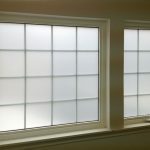 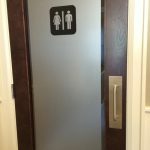 Ideal for bathrooms, entrance sidelights, roundtop, octagon shaped windows, or just about anywhere you need privacy but want to let in the light. 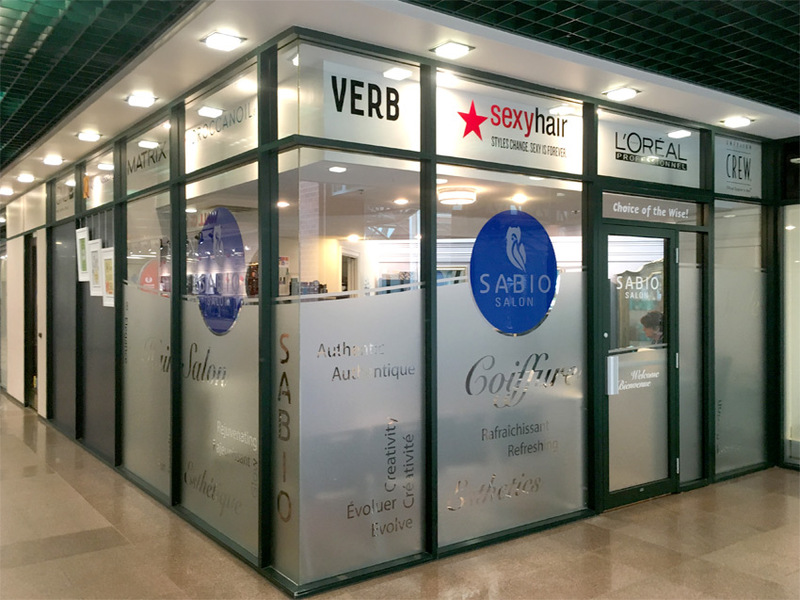 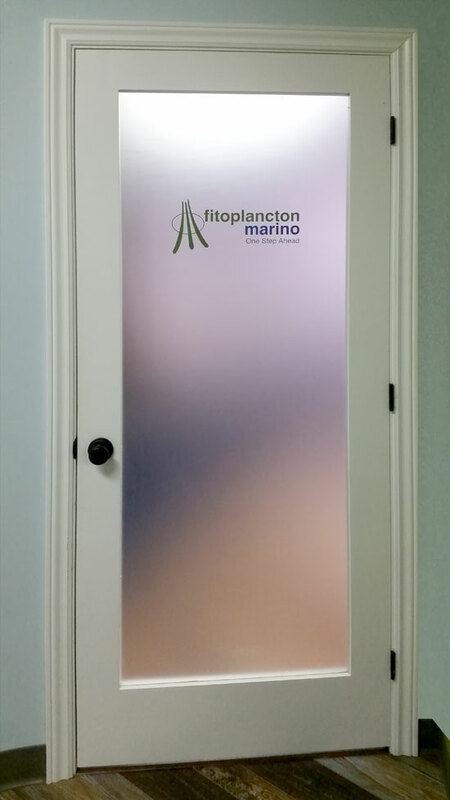 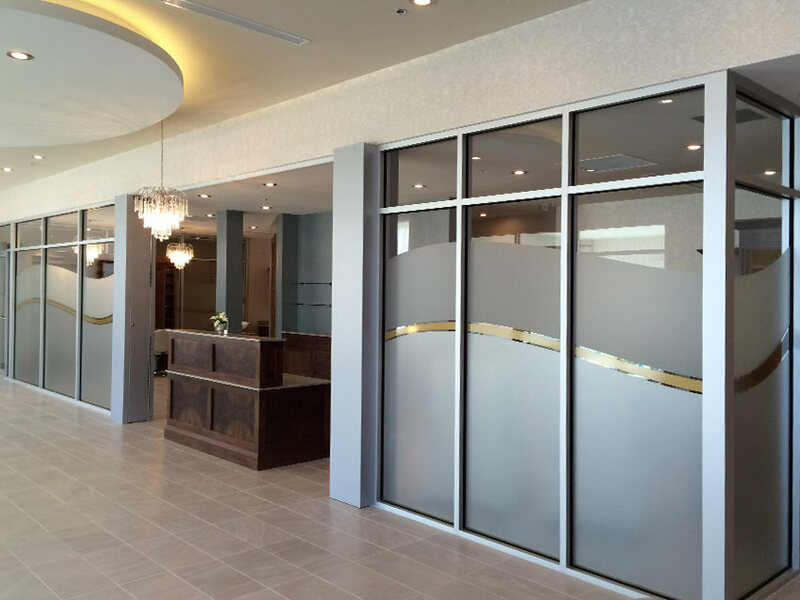 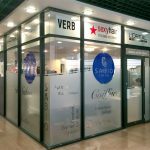 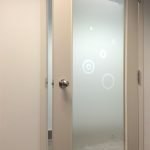 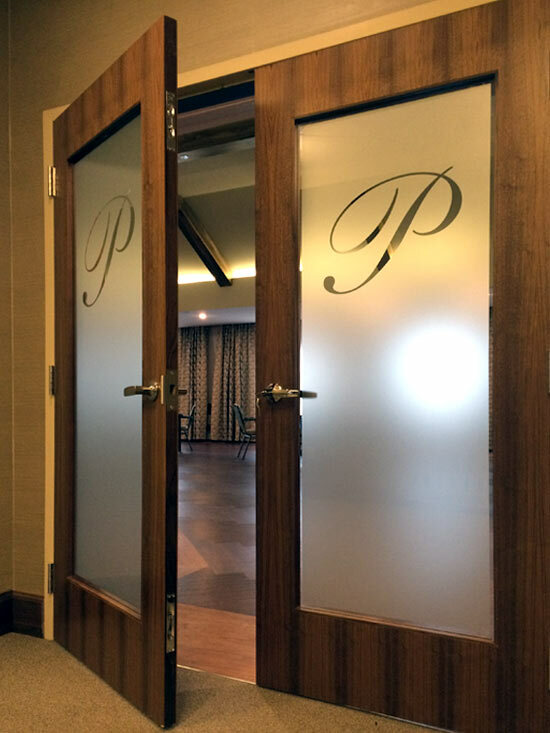 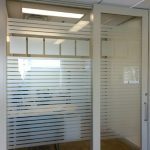 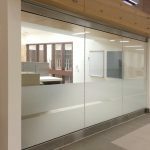 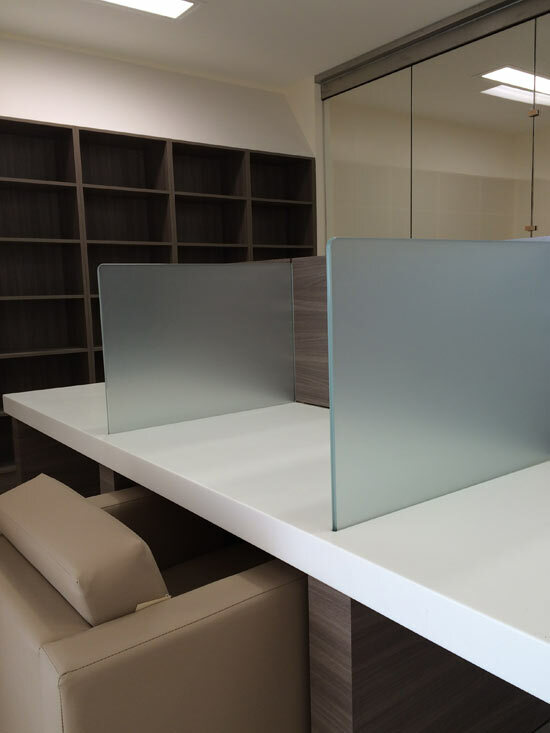 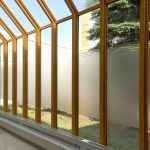 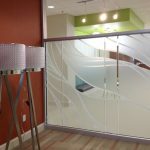 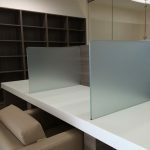 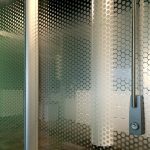 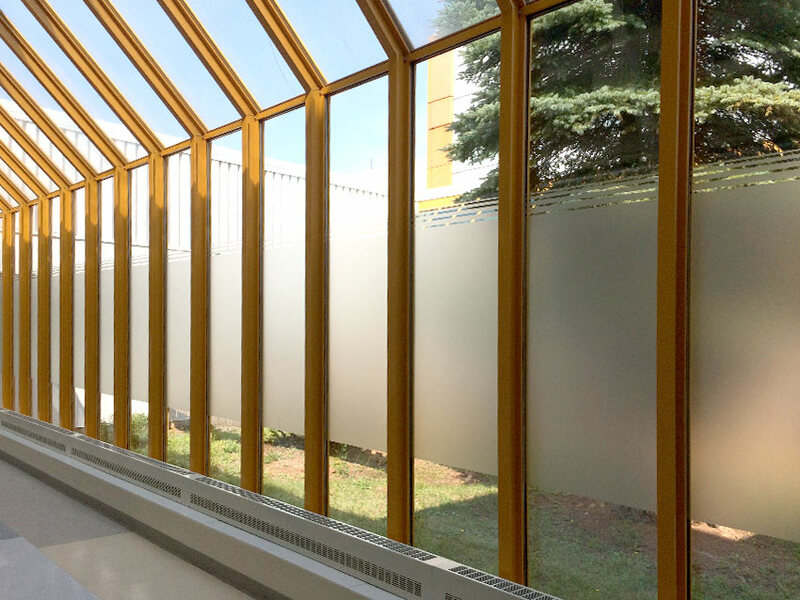 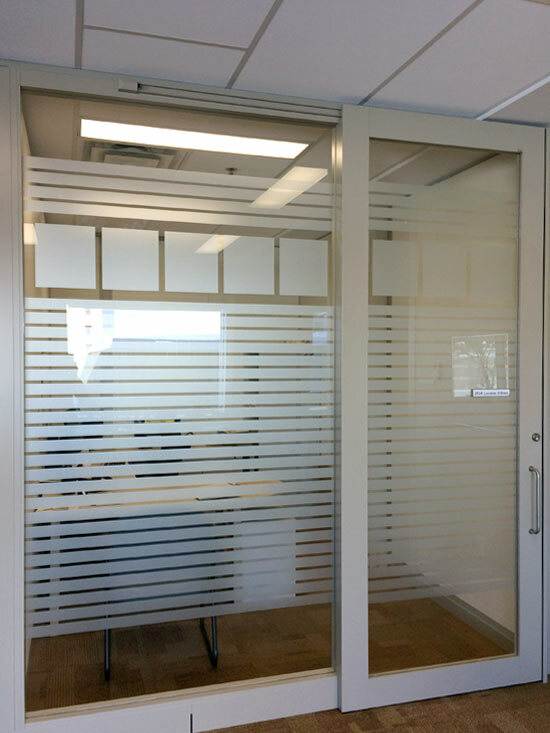 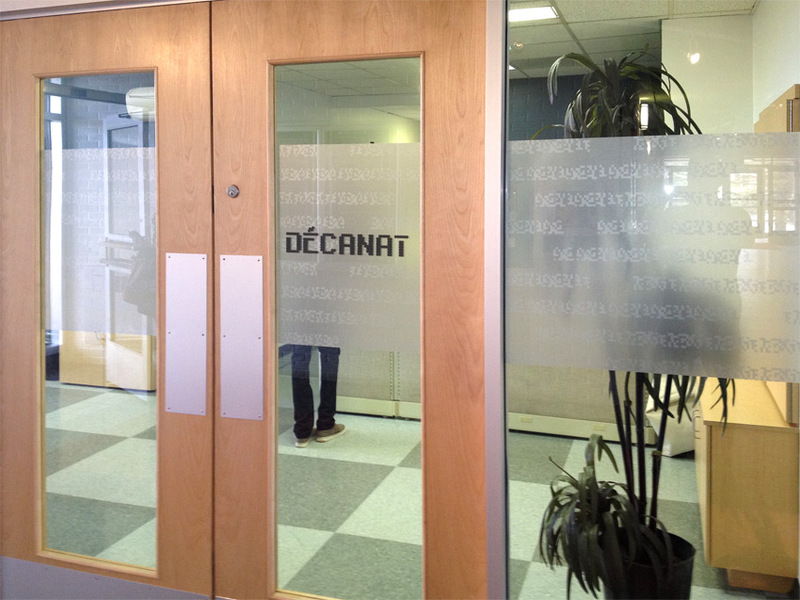 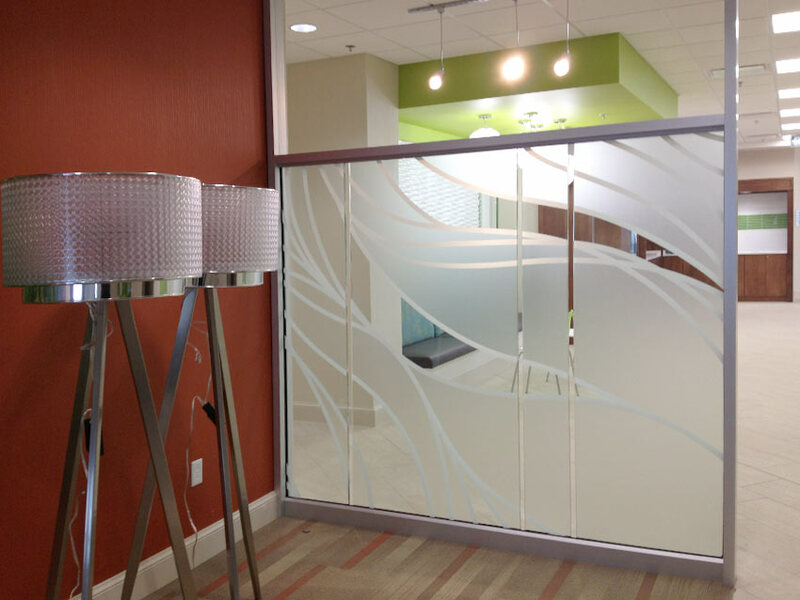 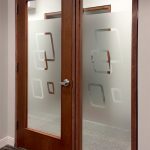 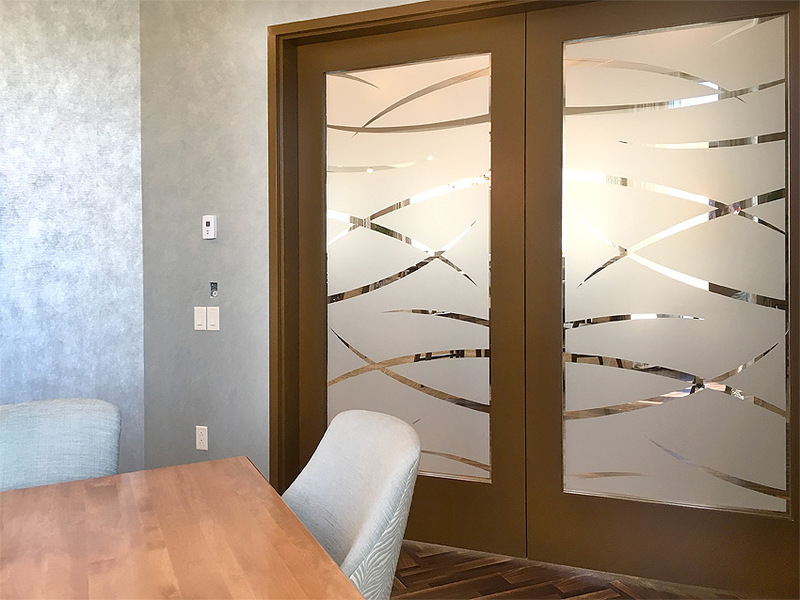 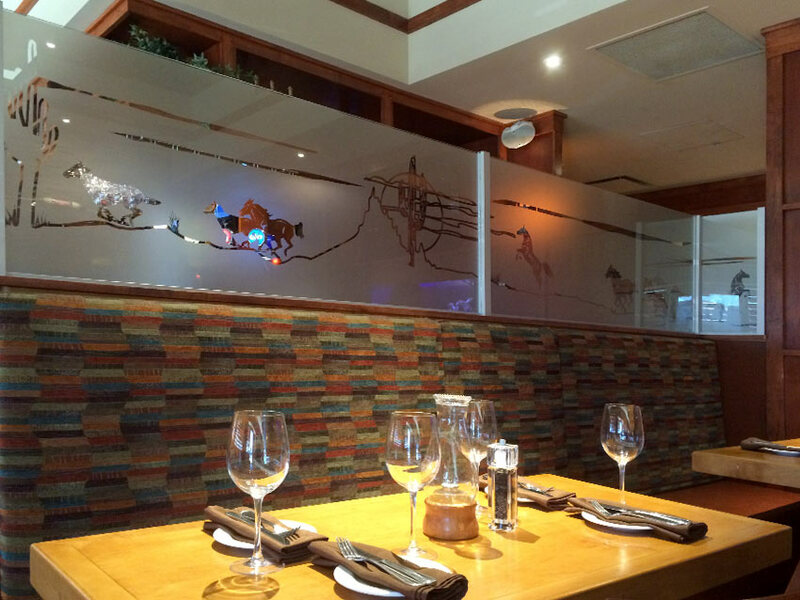 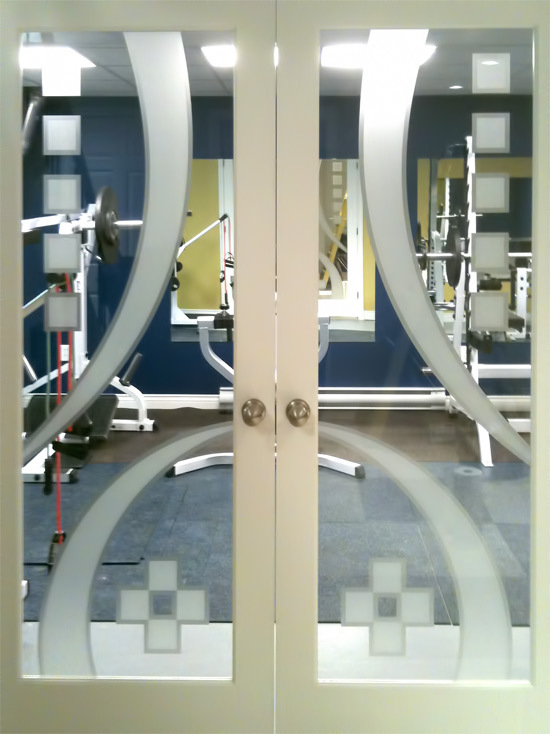 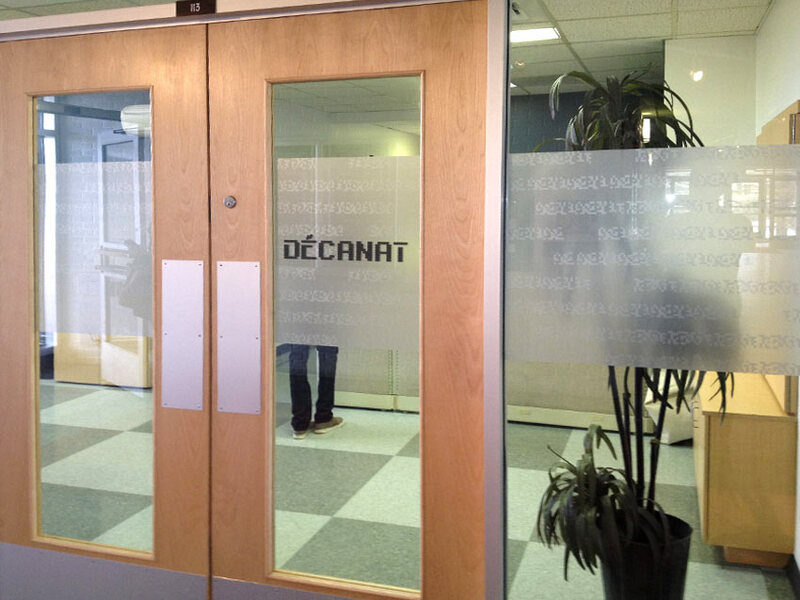 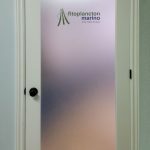 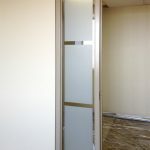 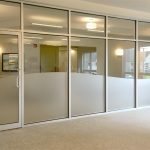 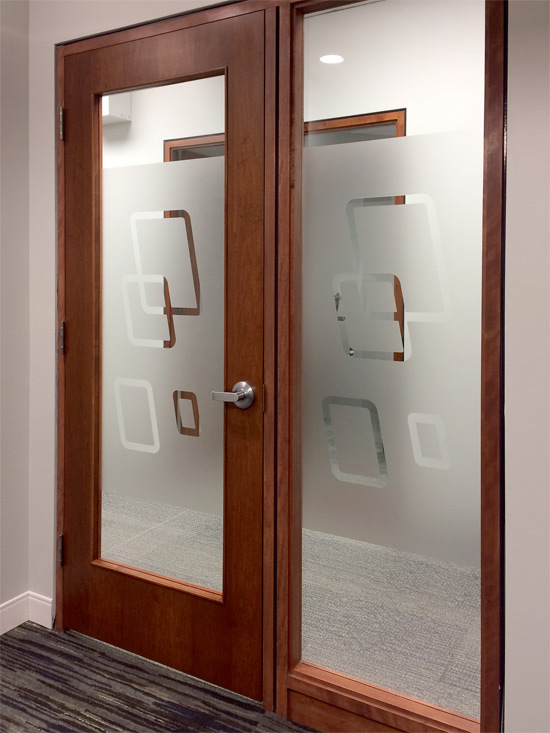 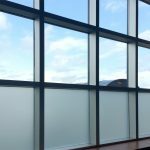 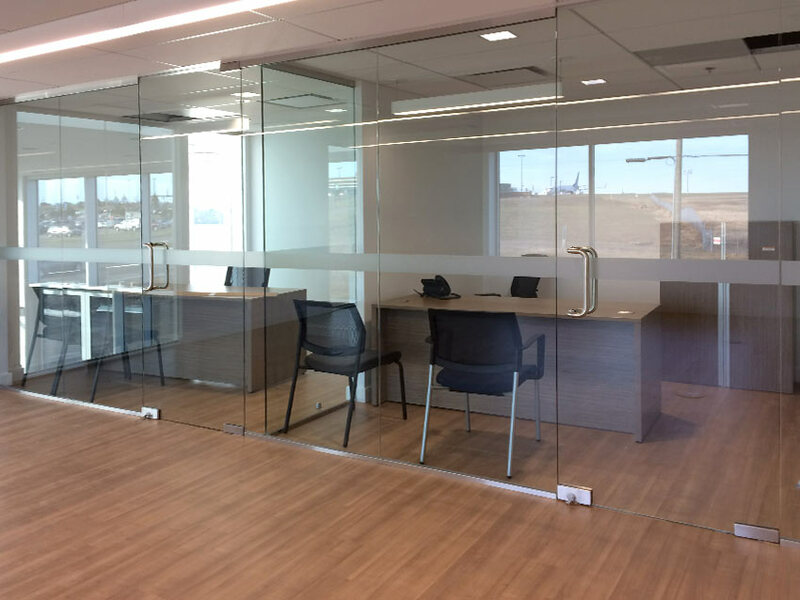 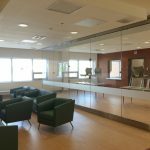 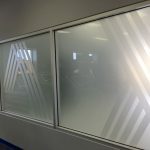 Now you can get the look of expensive etched glass in a film that applies to any glass or mirrored surface. 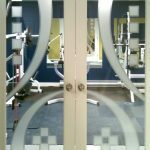 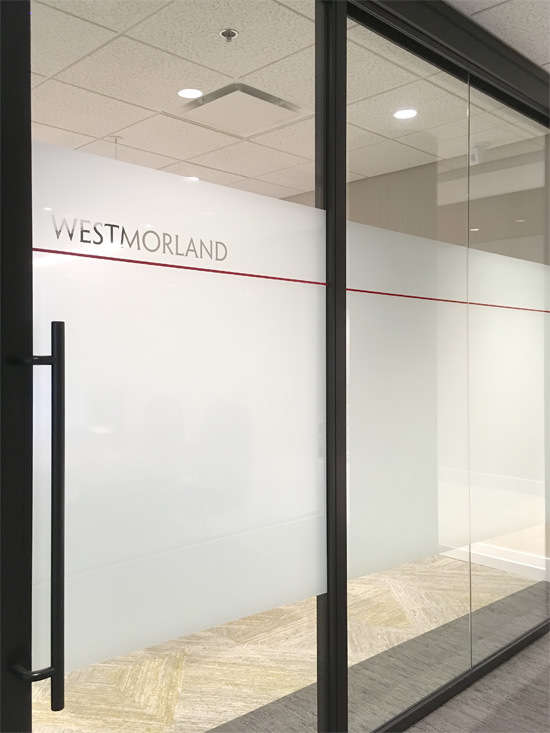 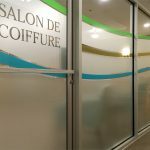 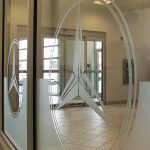 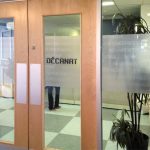 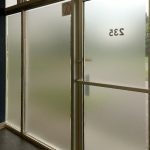 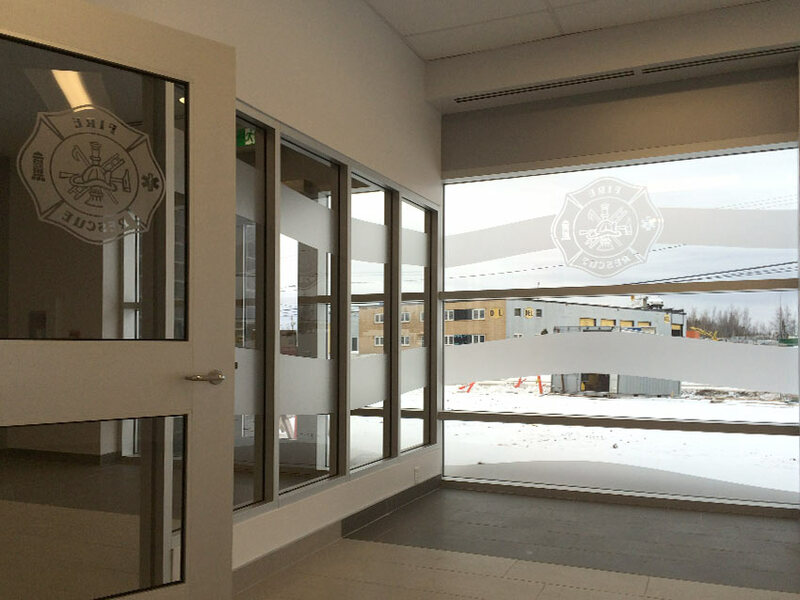 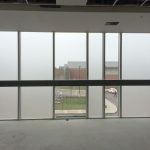 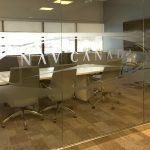 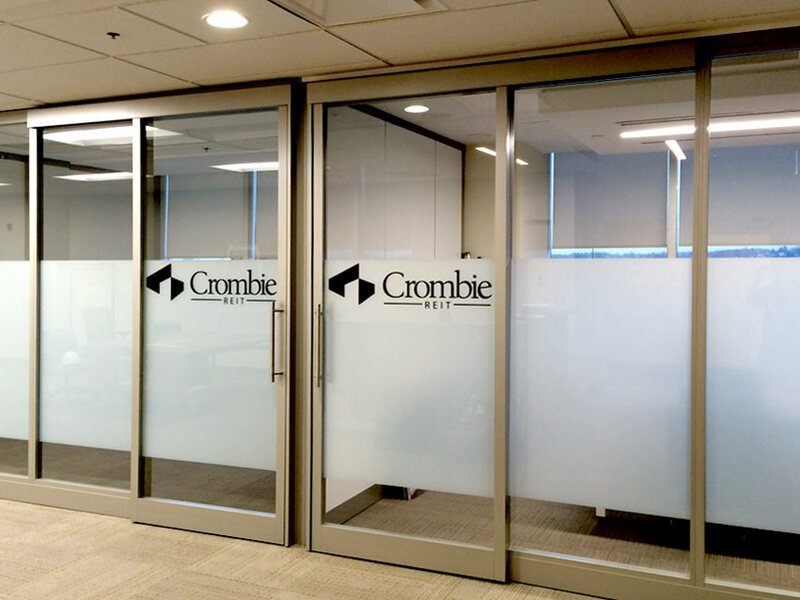 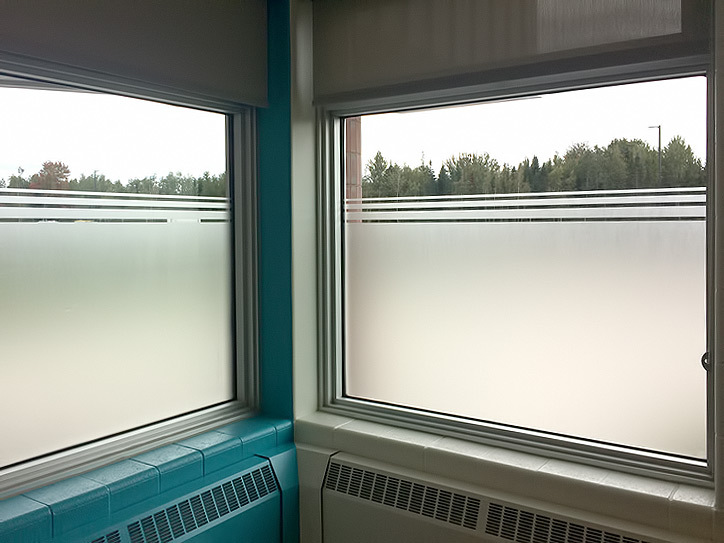 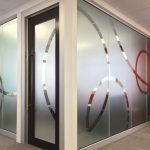 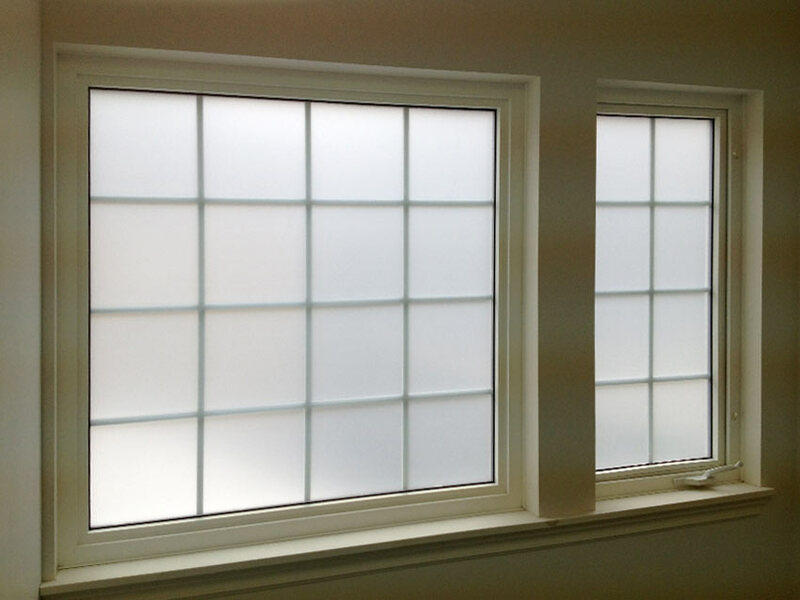 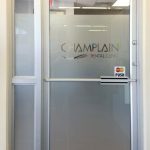 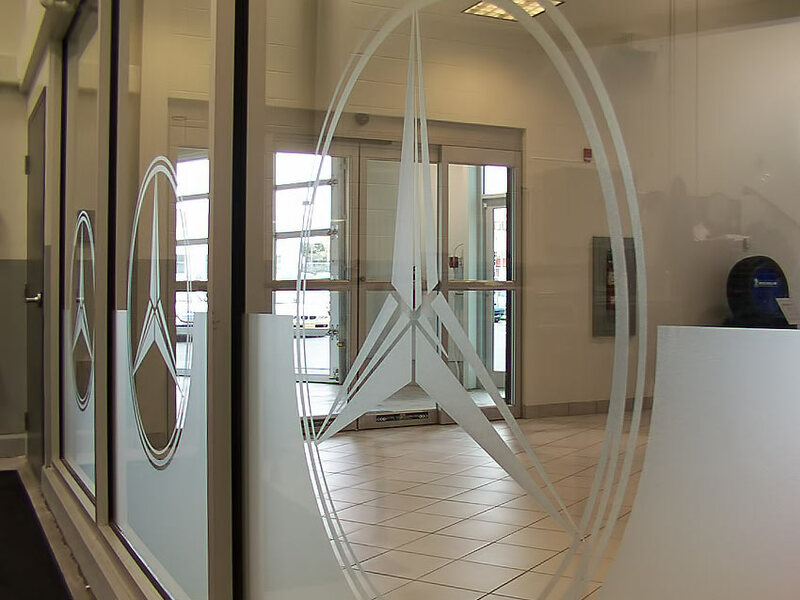 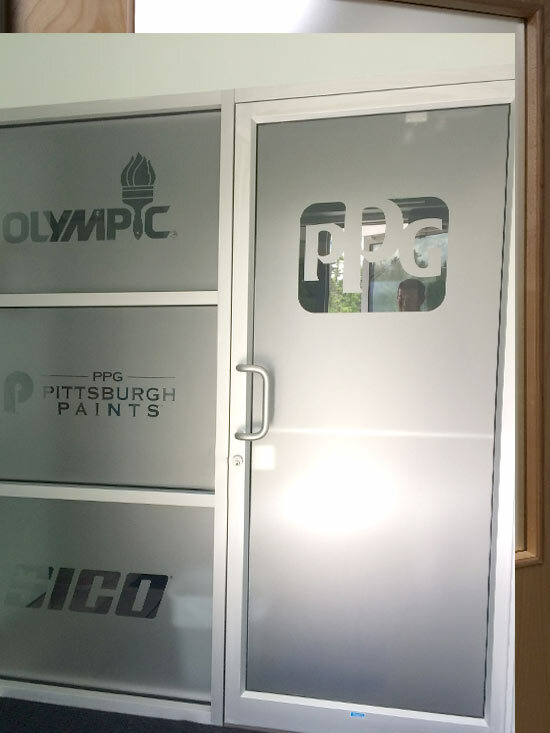 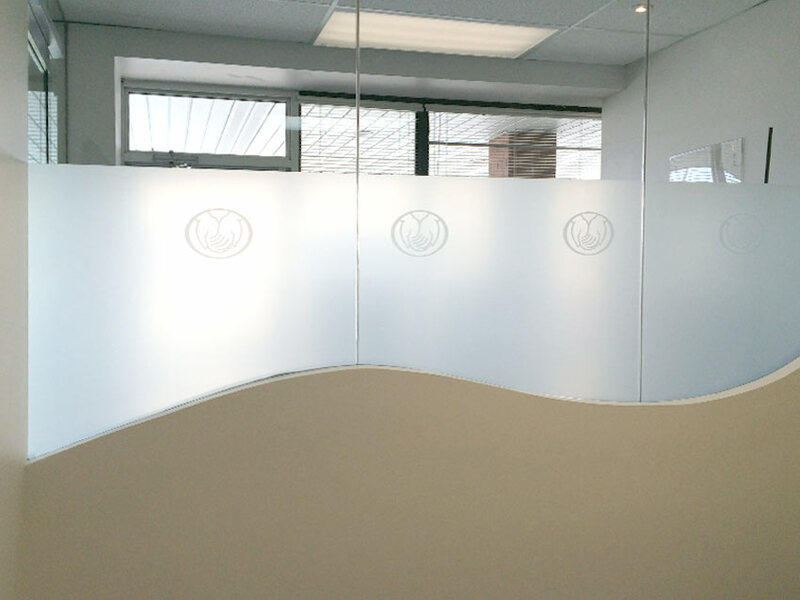 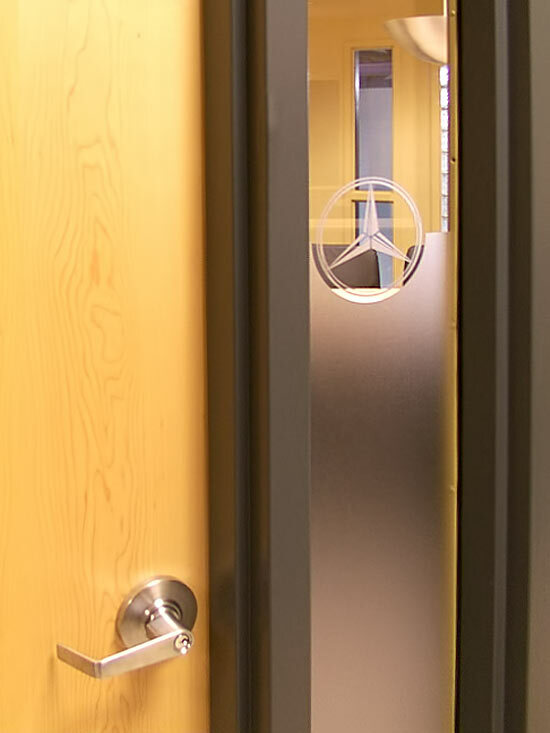 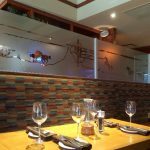 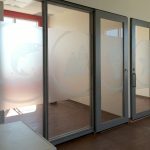 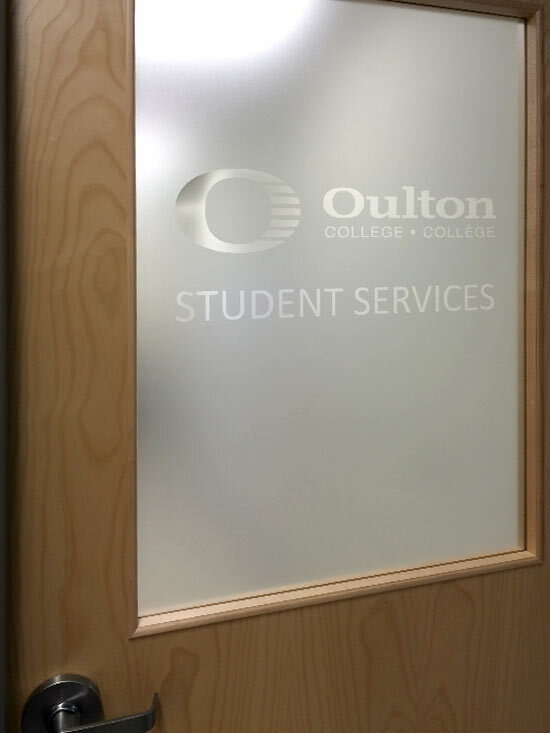 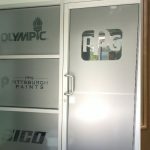 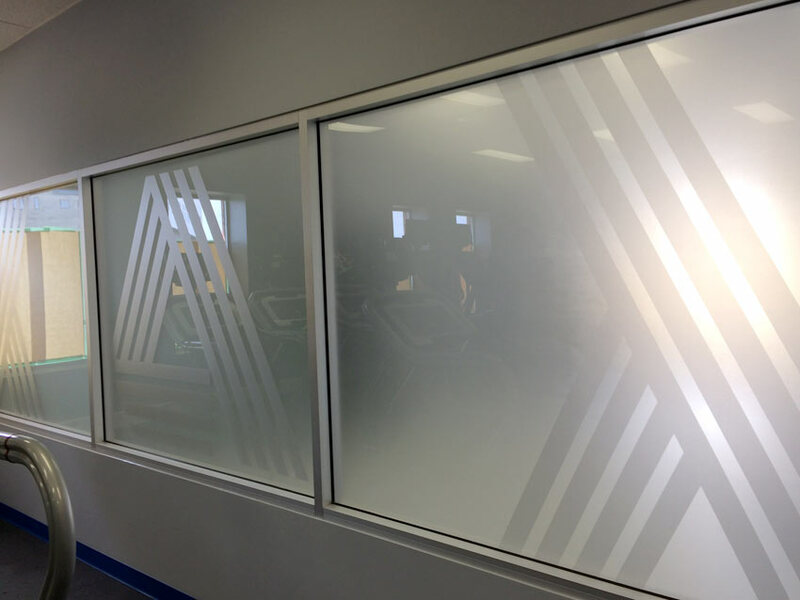 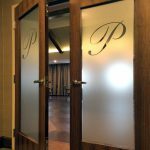 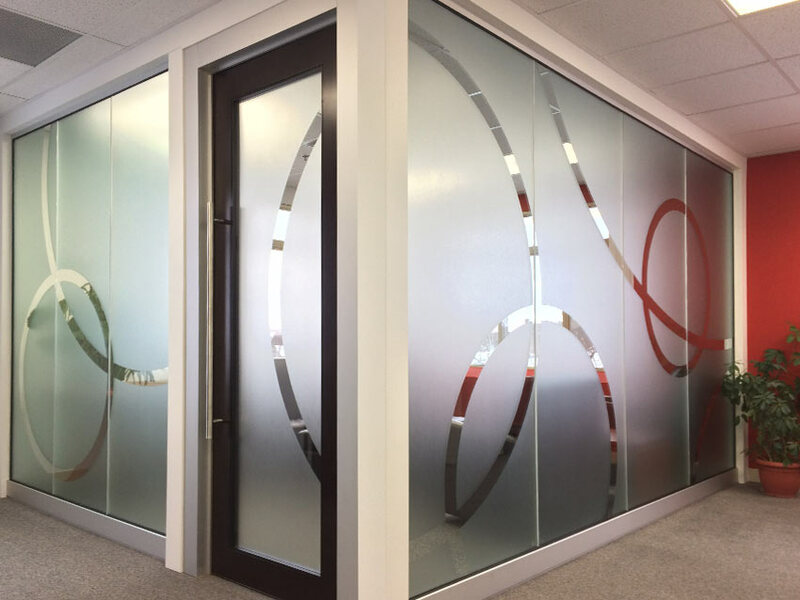 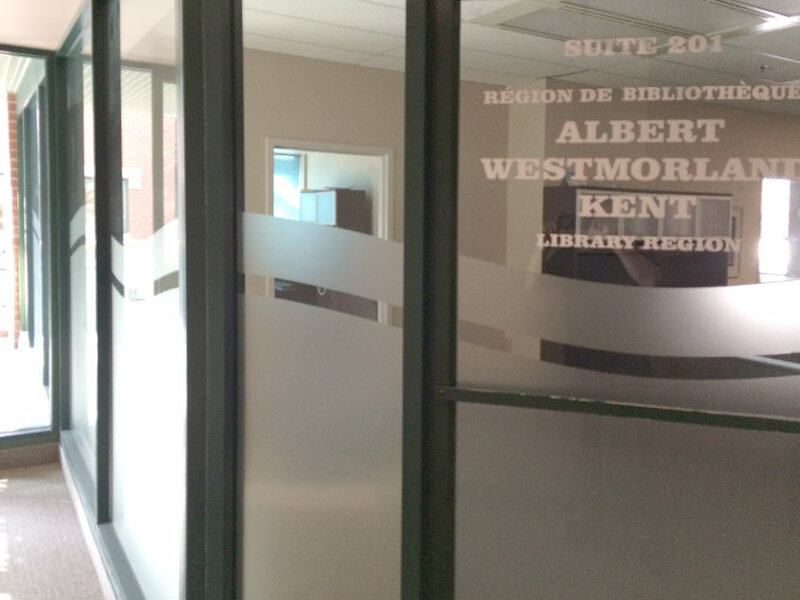 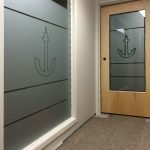 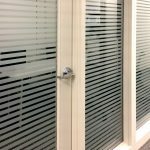 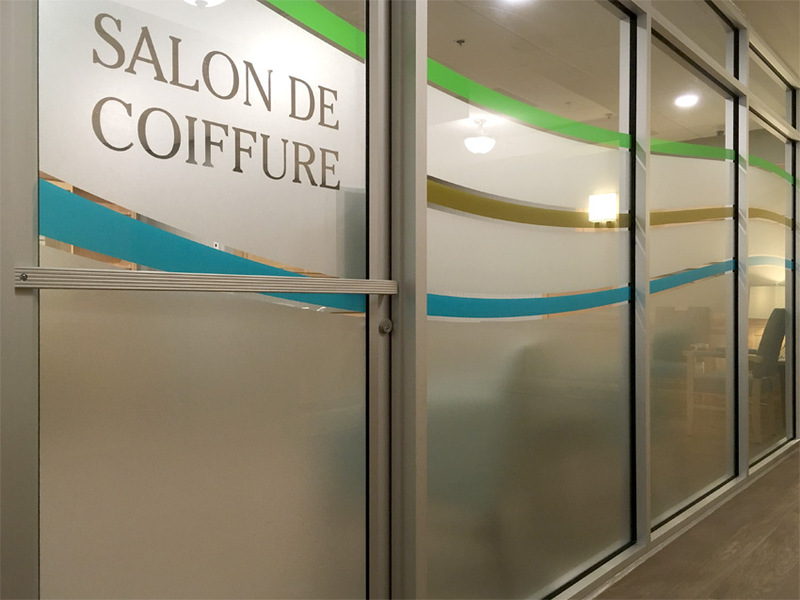 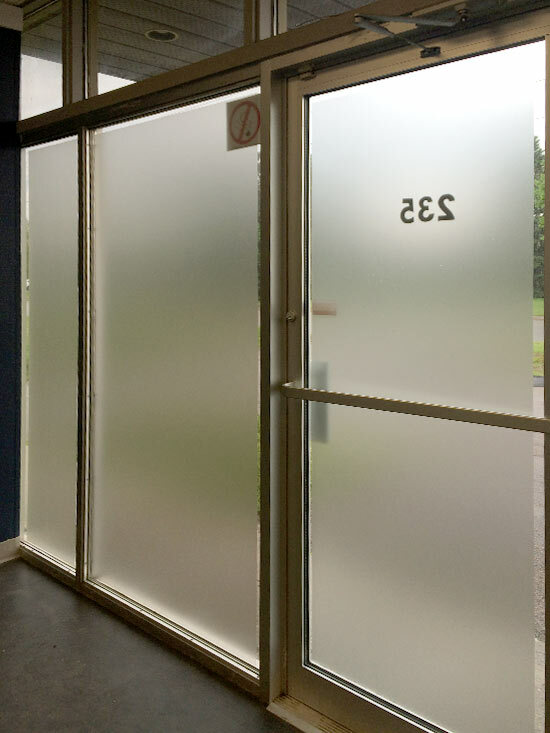 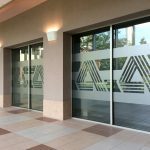 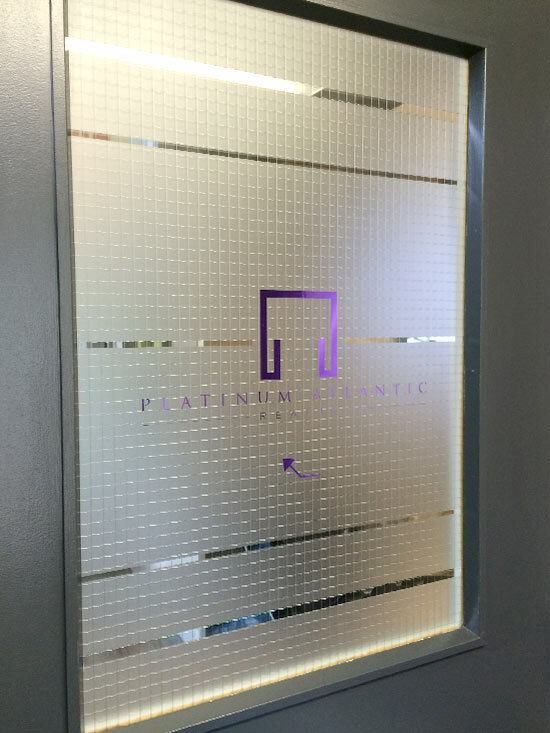 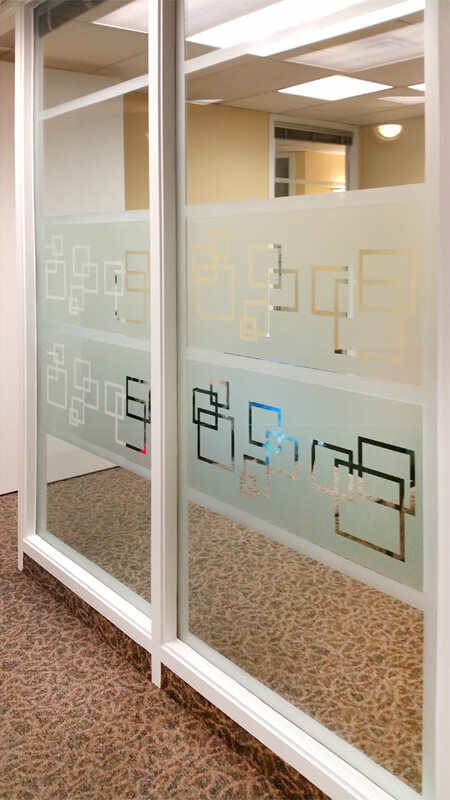 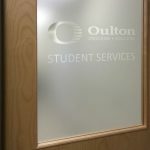 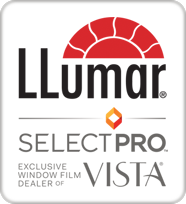 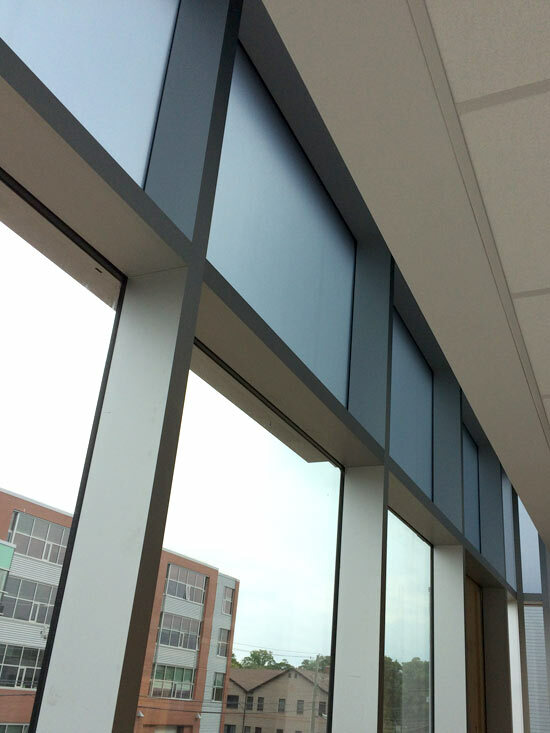 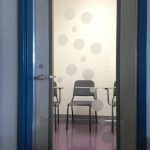 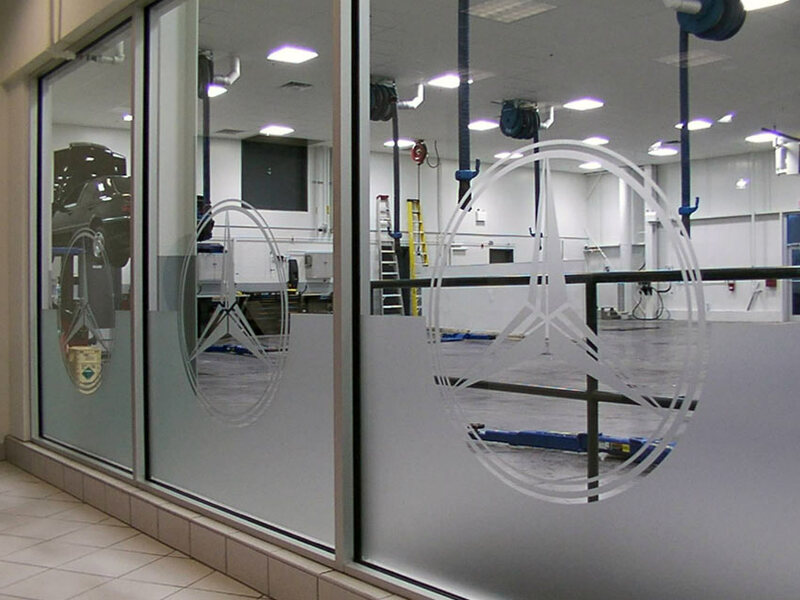 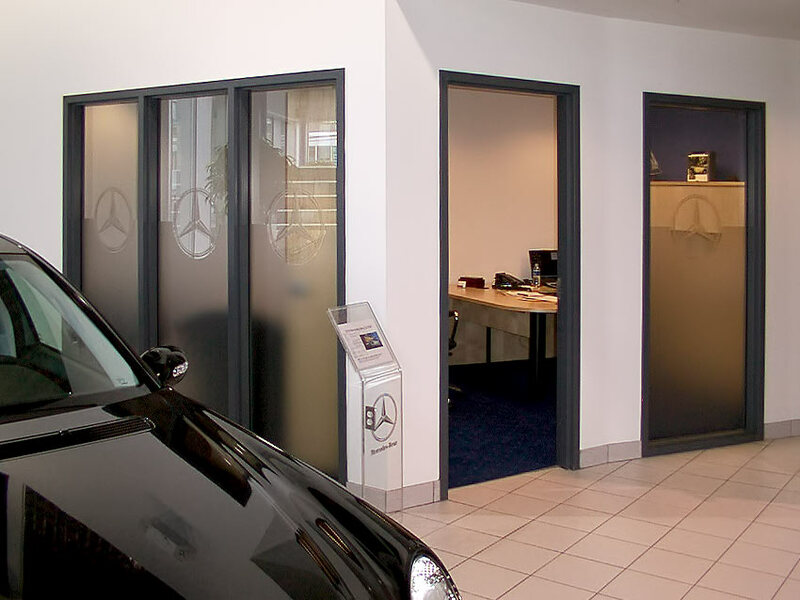 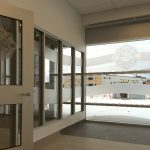 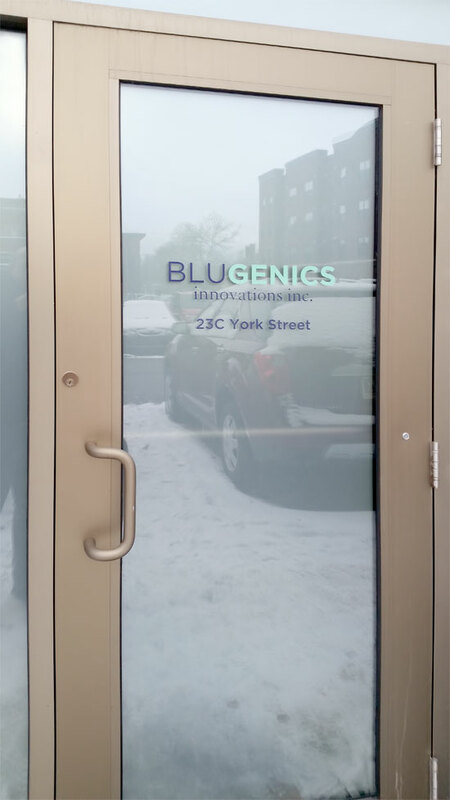 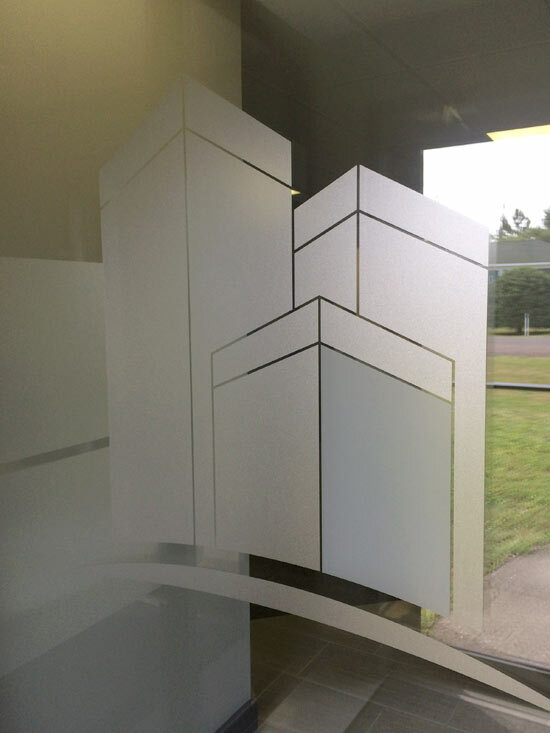 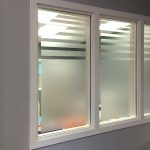 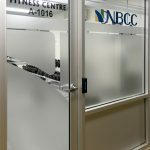 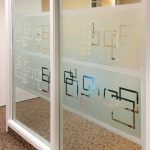 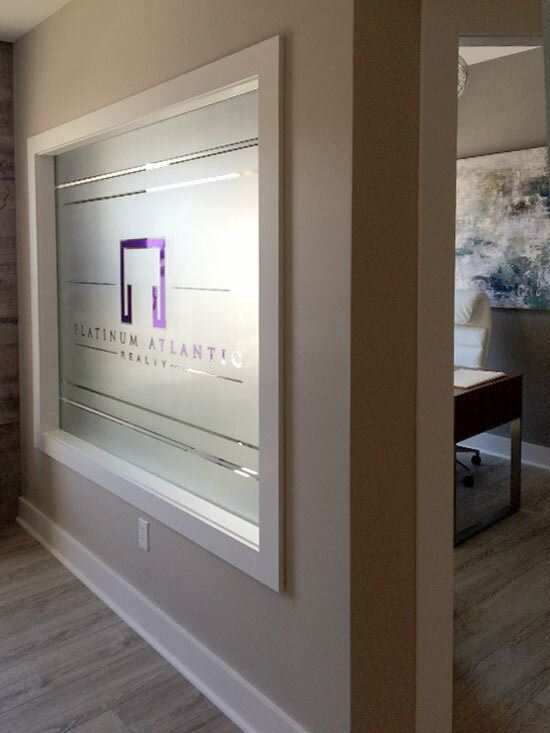 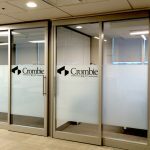 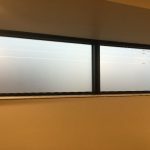 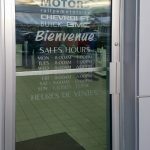 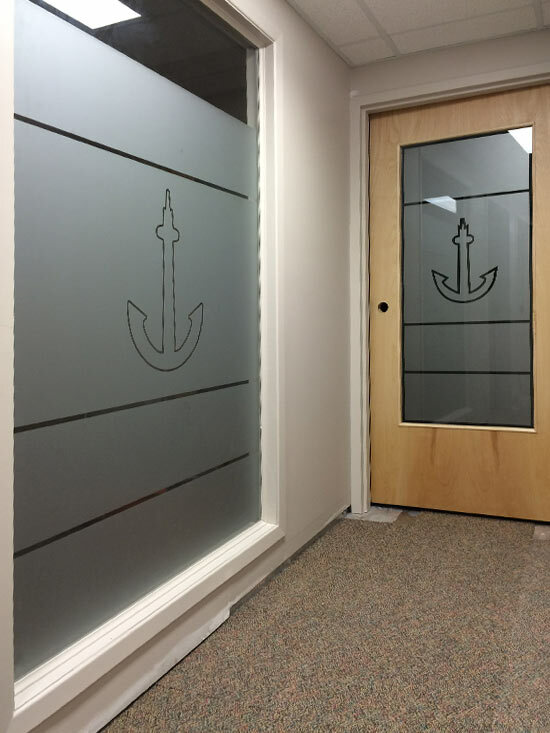 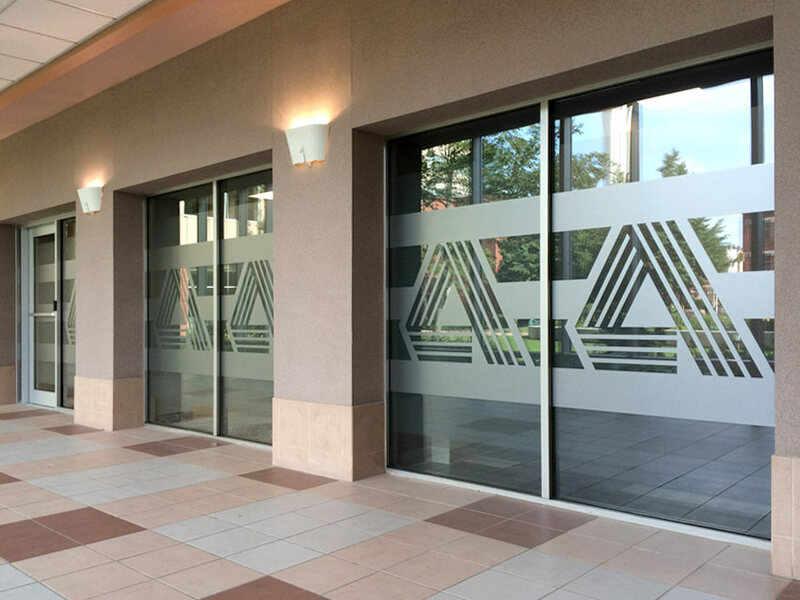 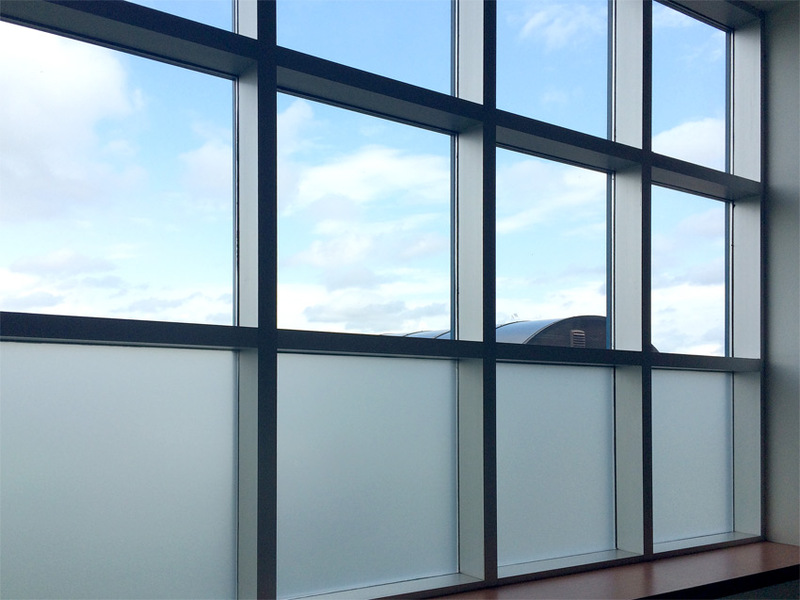 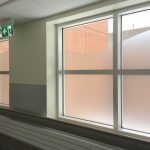 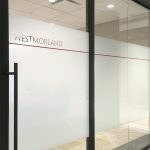 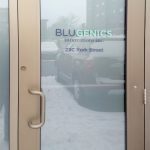 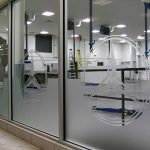 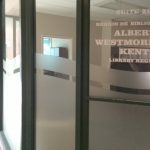 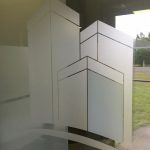 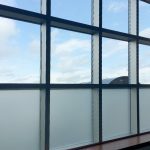 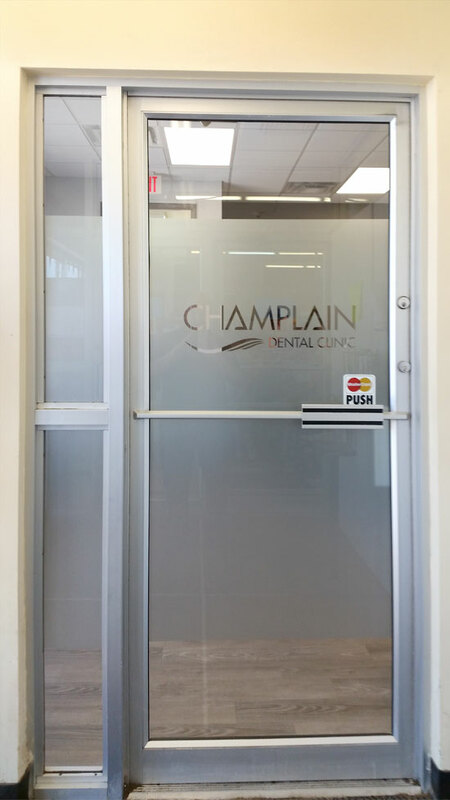 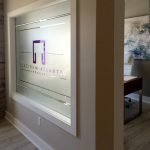 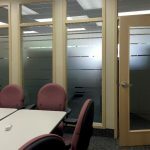 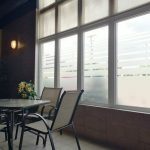 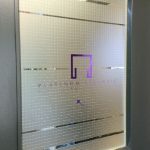 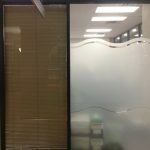 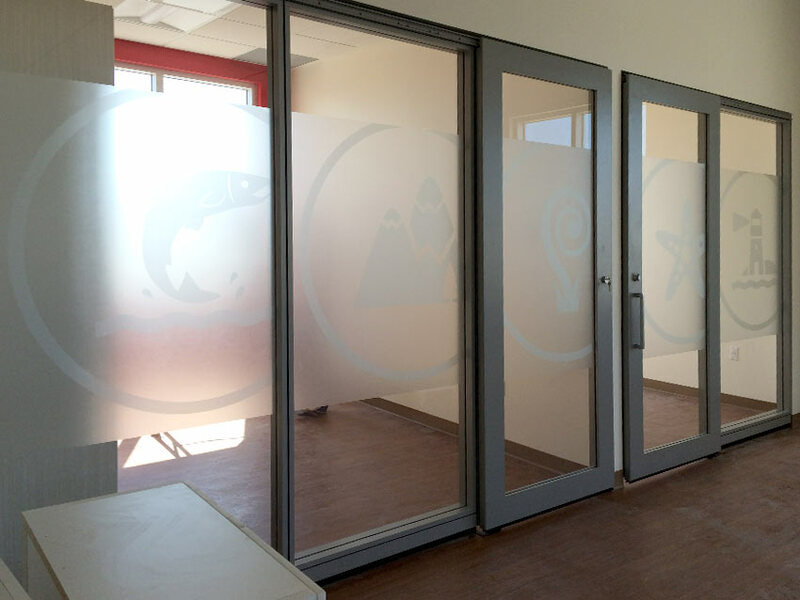 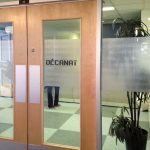 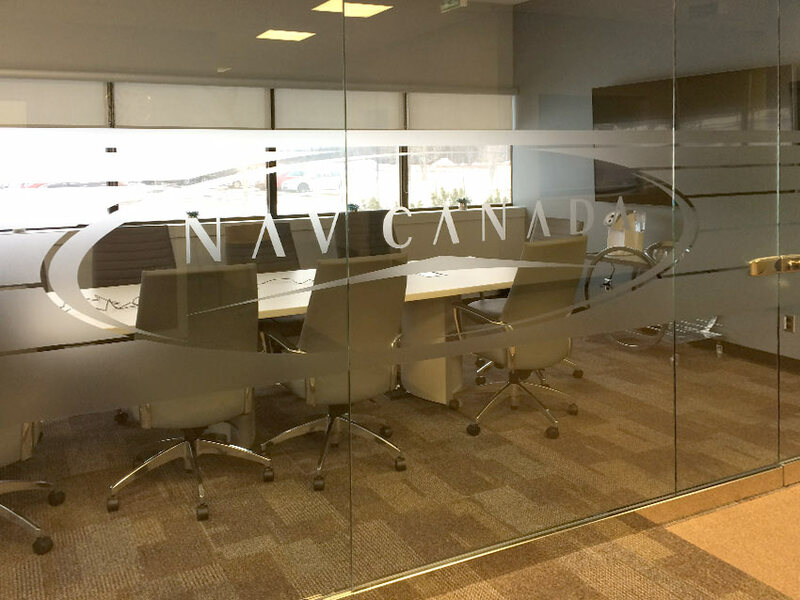 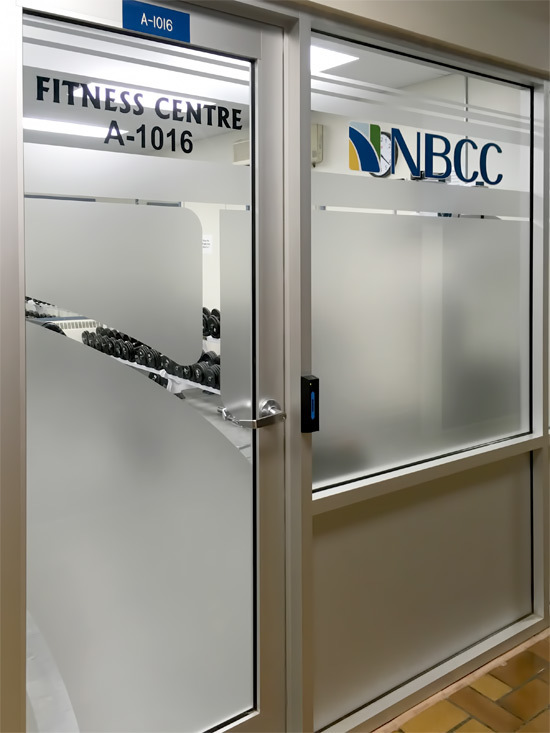 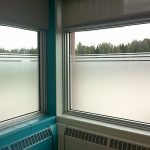 Custom logos and designs can be cut out of our etched films to give that added personal touch to your window creations. 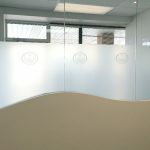 Our in house graphic artist can help you come up with the perfect design. 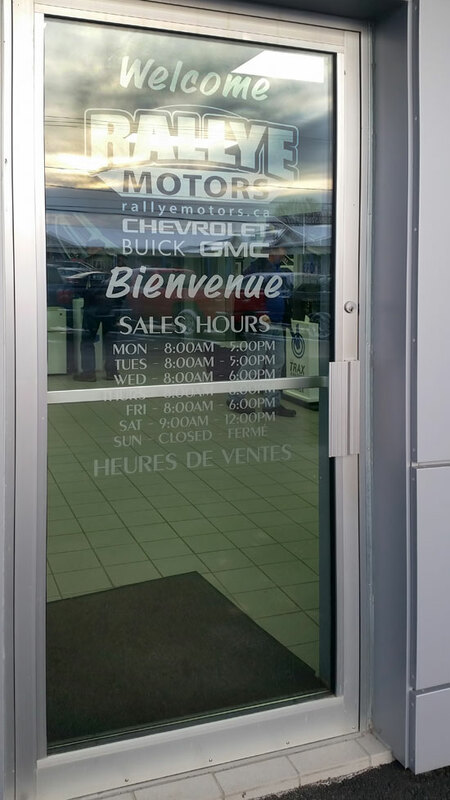 Friendly, fast & reliable service. 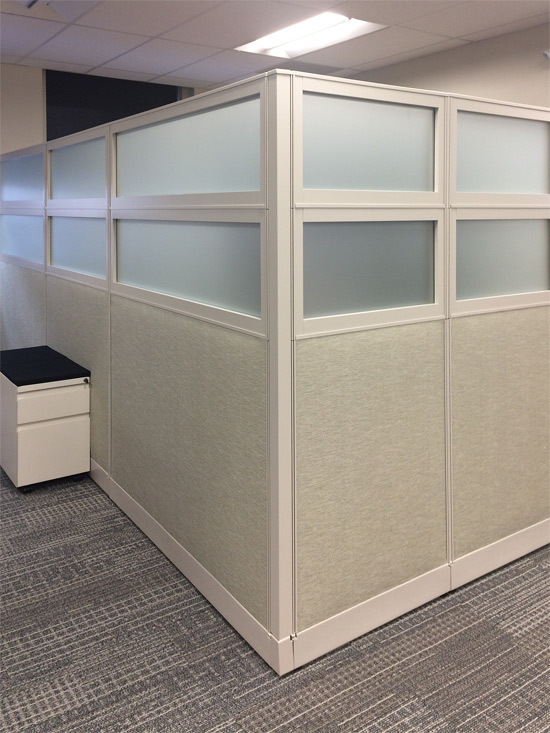 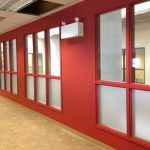 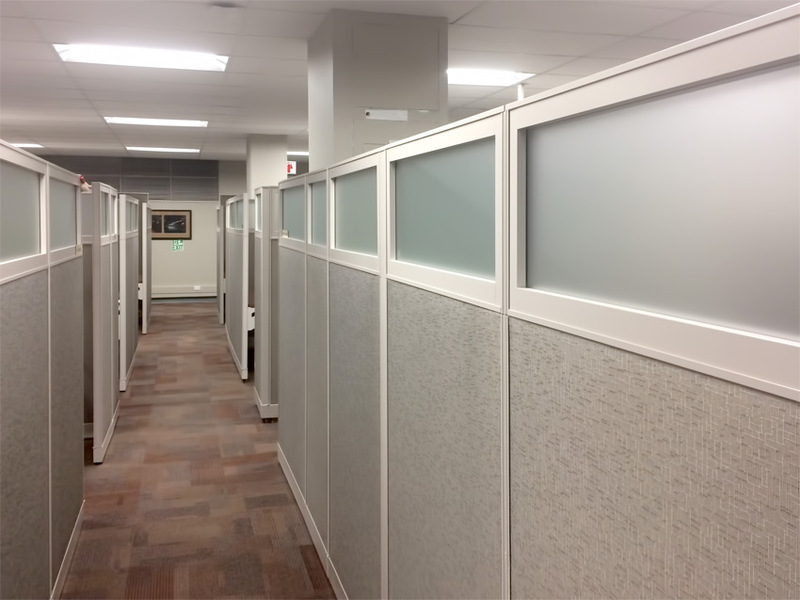 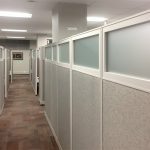 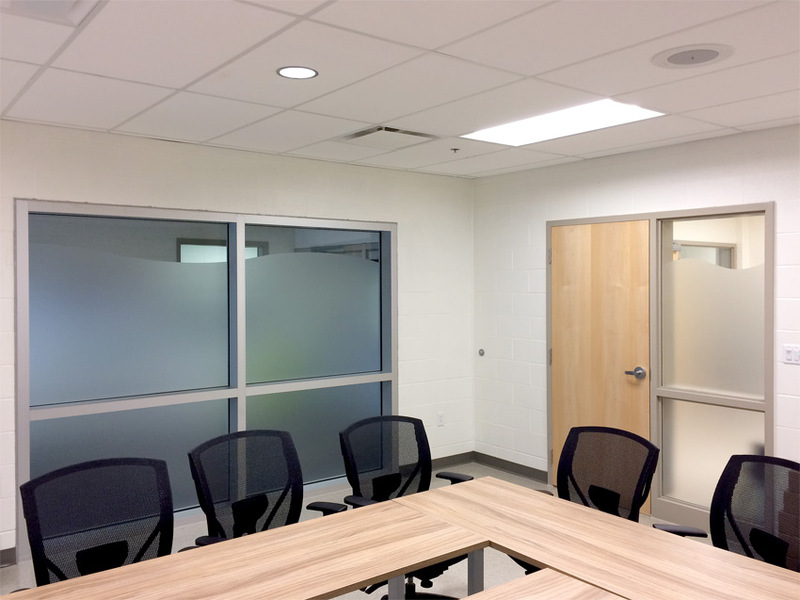 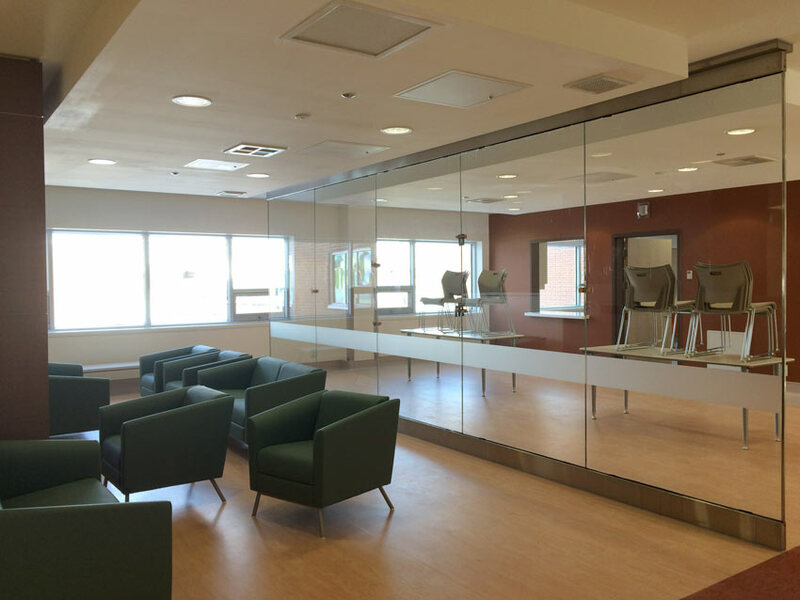 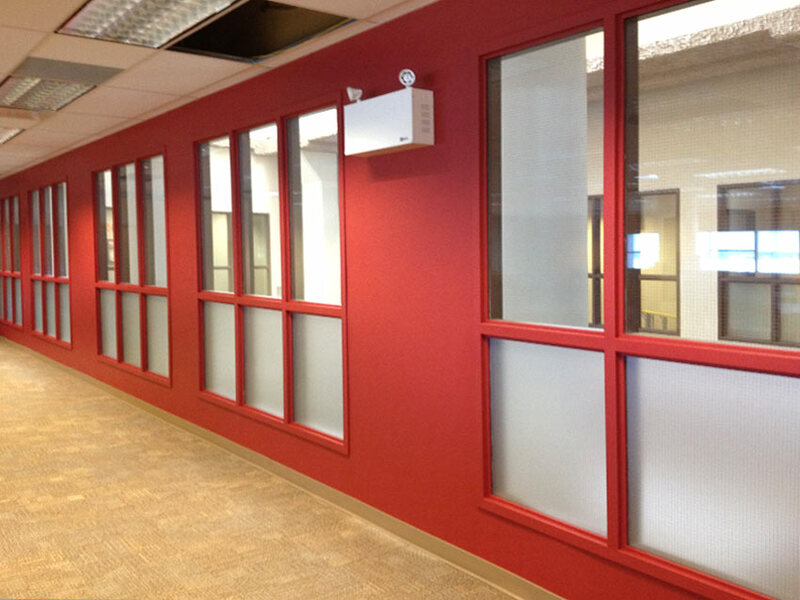 Professionally installed with no mess, no hassle and minimal to no disruption to activities in your office or home. 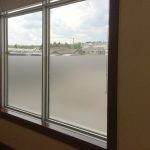 We clean your windows prior to installation after a few days drying time, you can easily clean the film with mild soap and water. 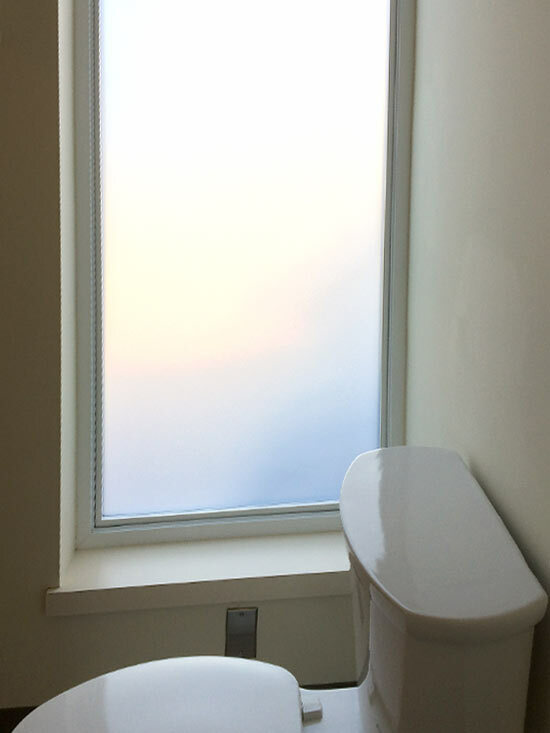 Use paper towel or a soft cloth to wipe dry.